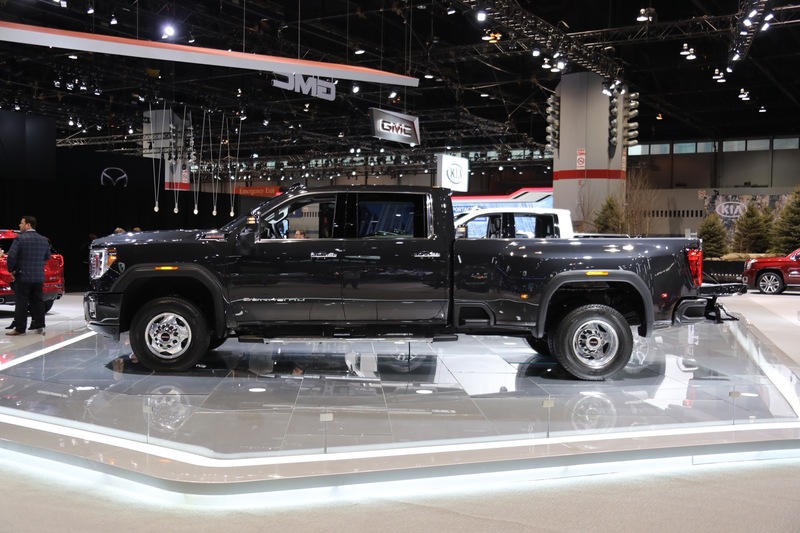 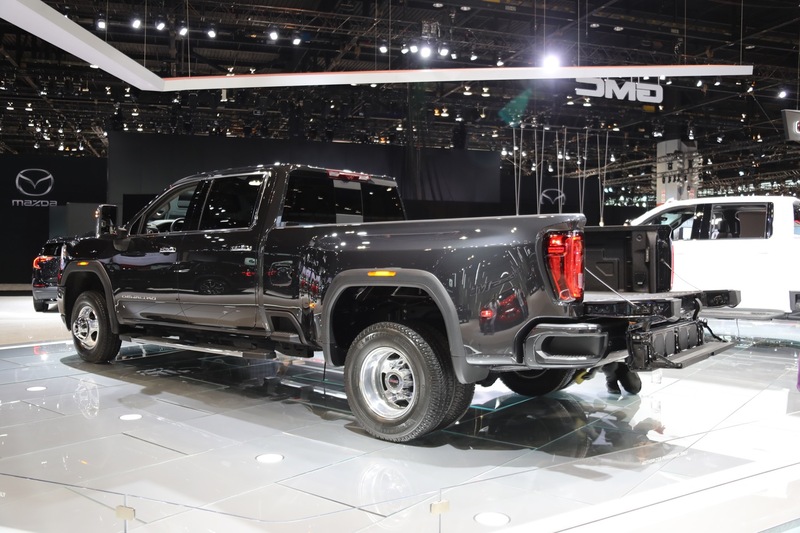 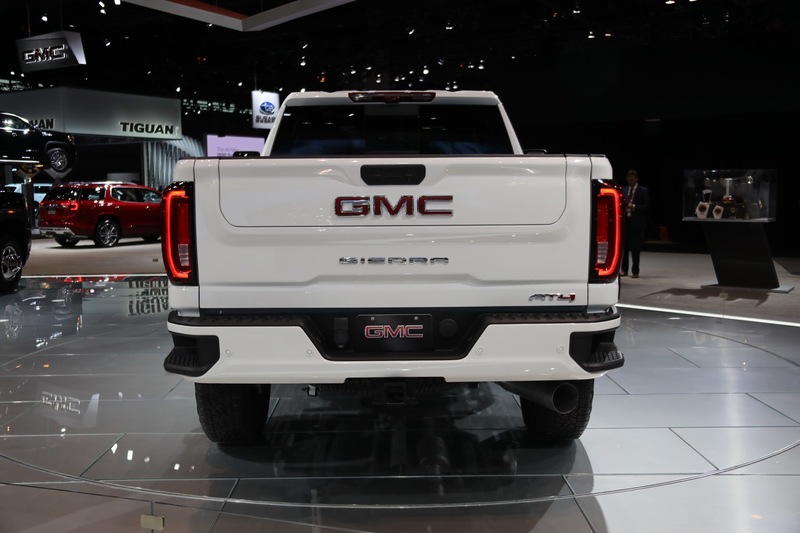 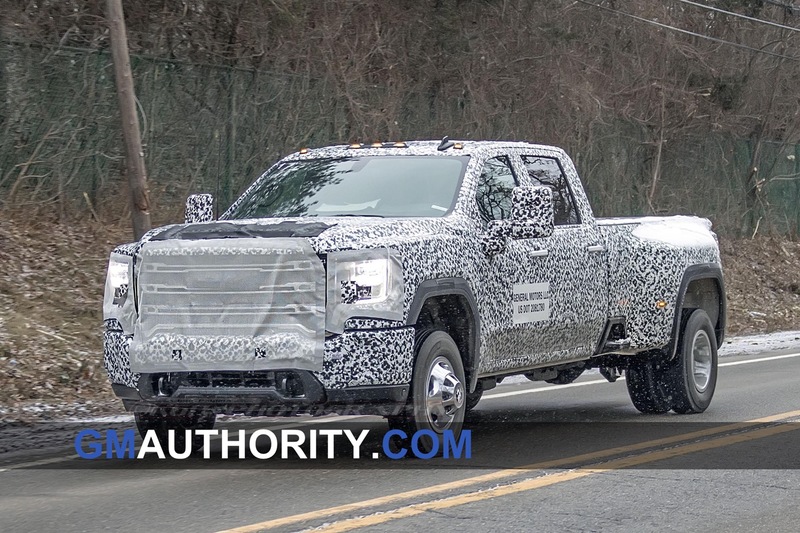 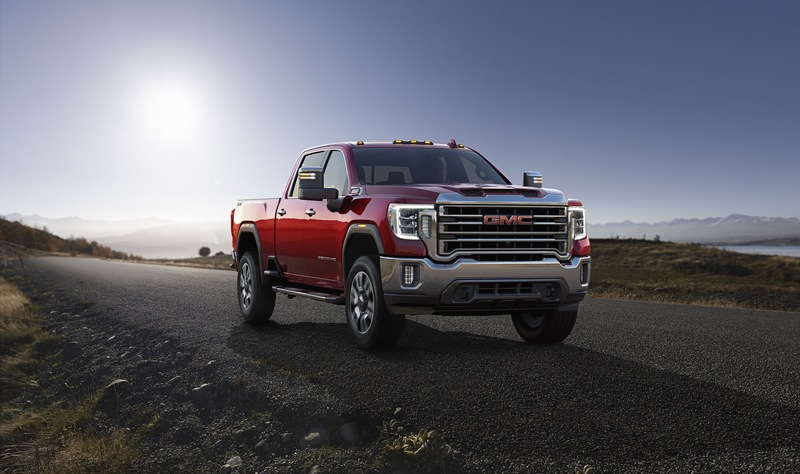 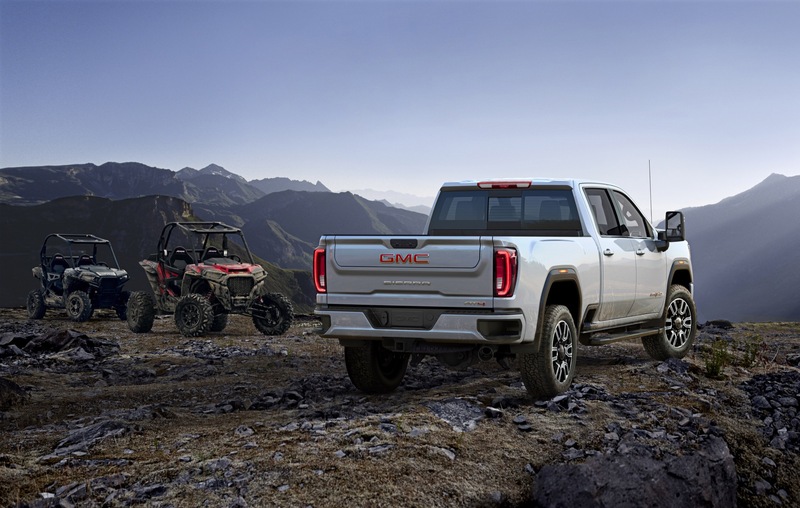 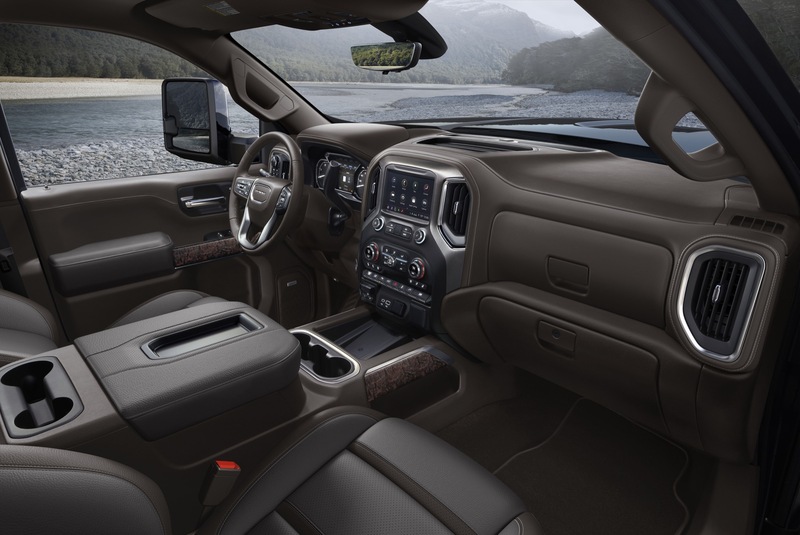 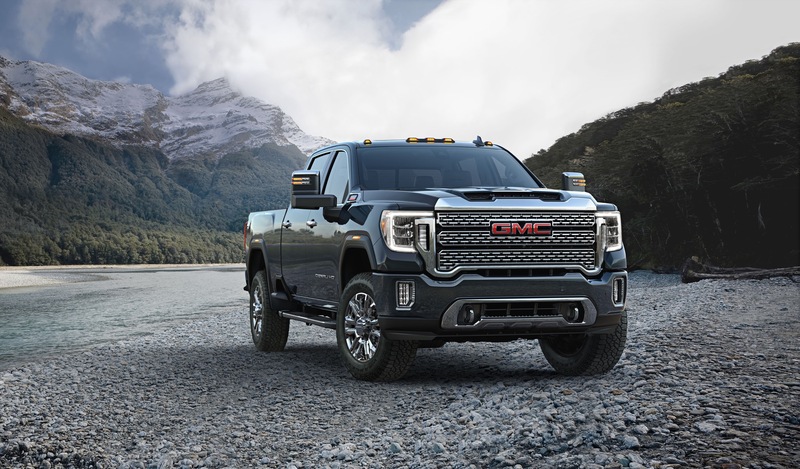 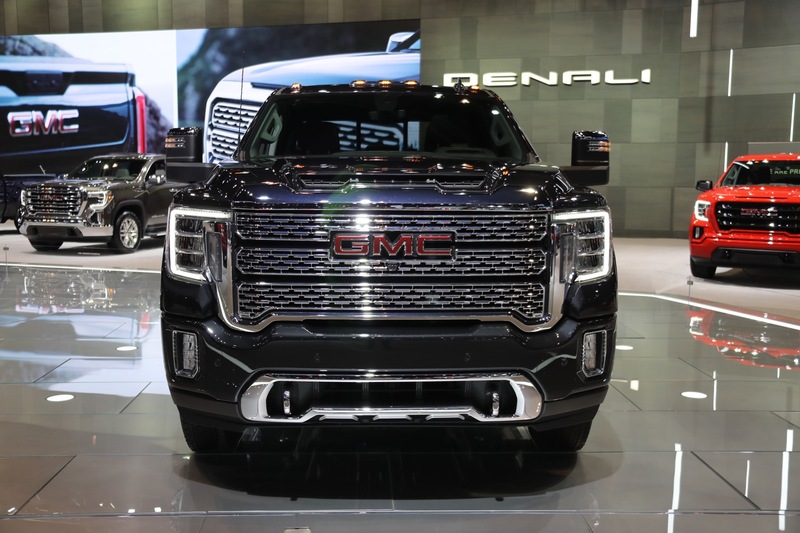 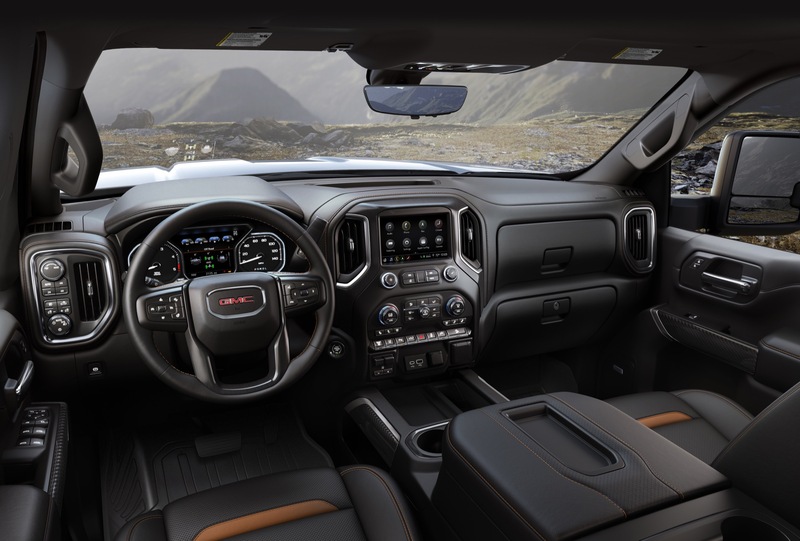 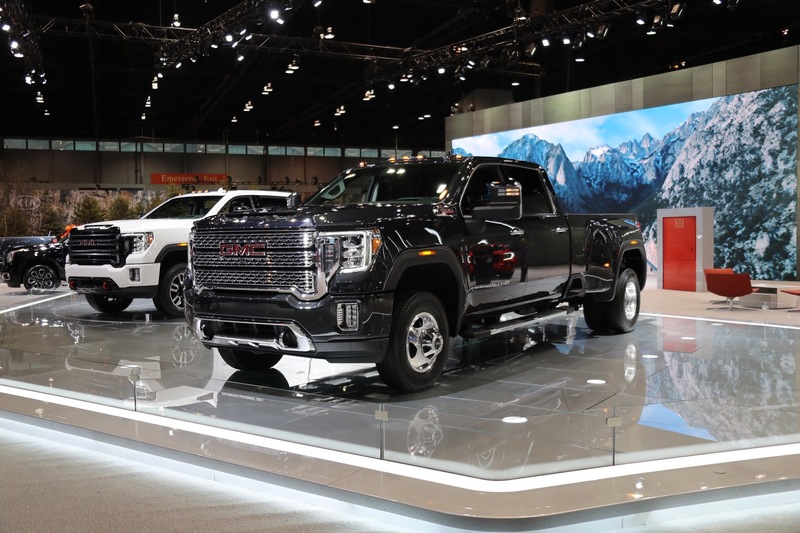 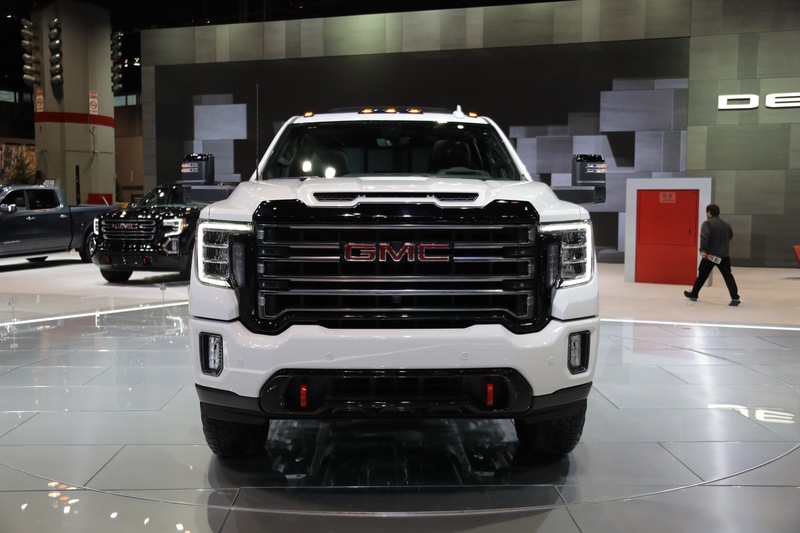 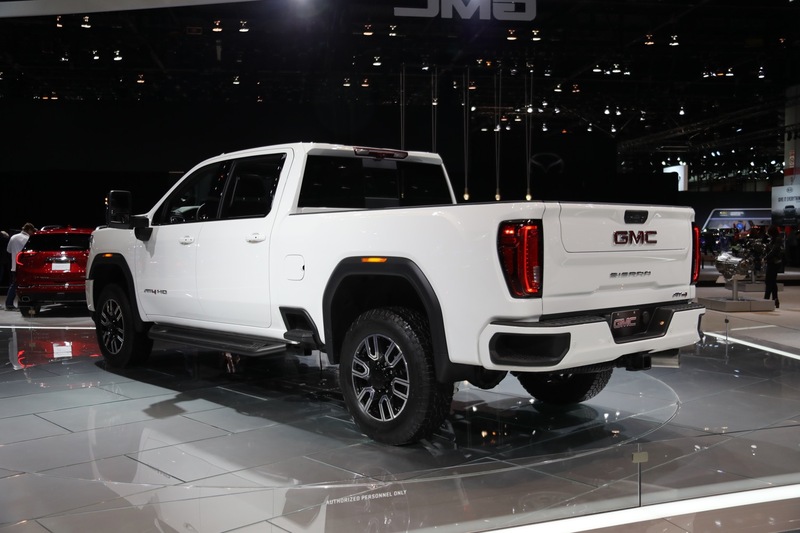 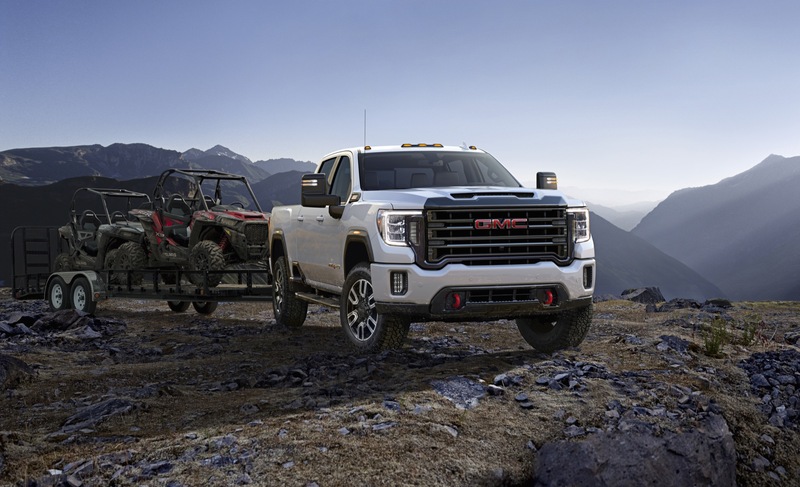 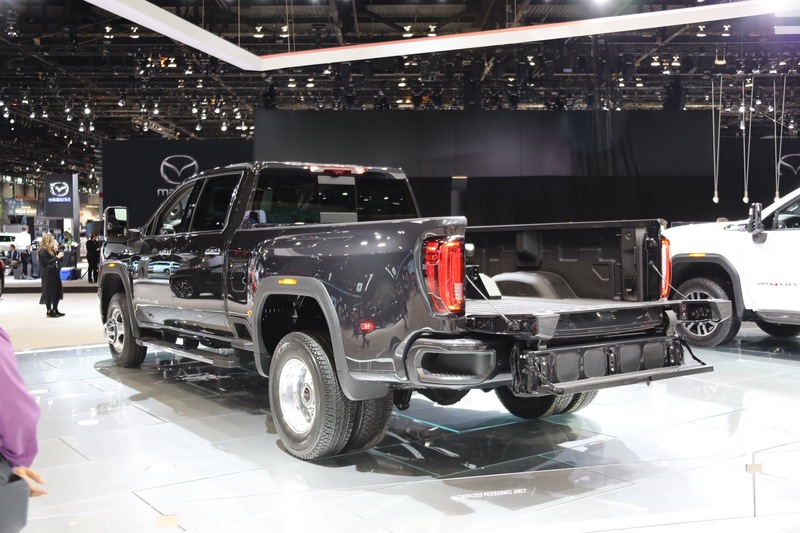 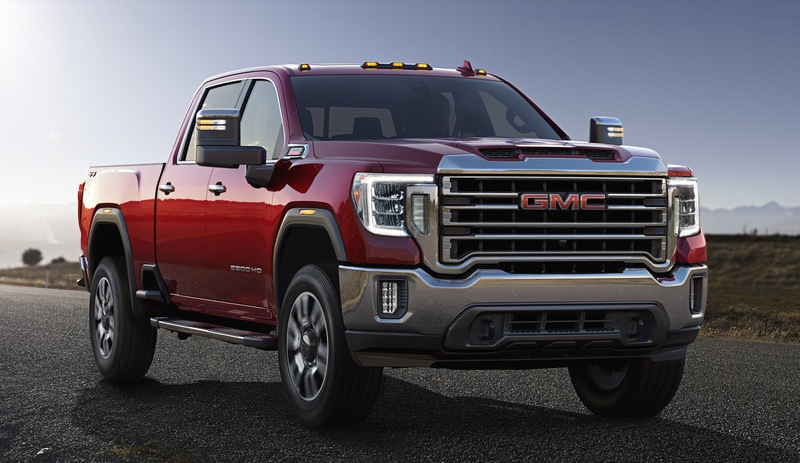 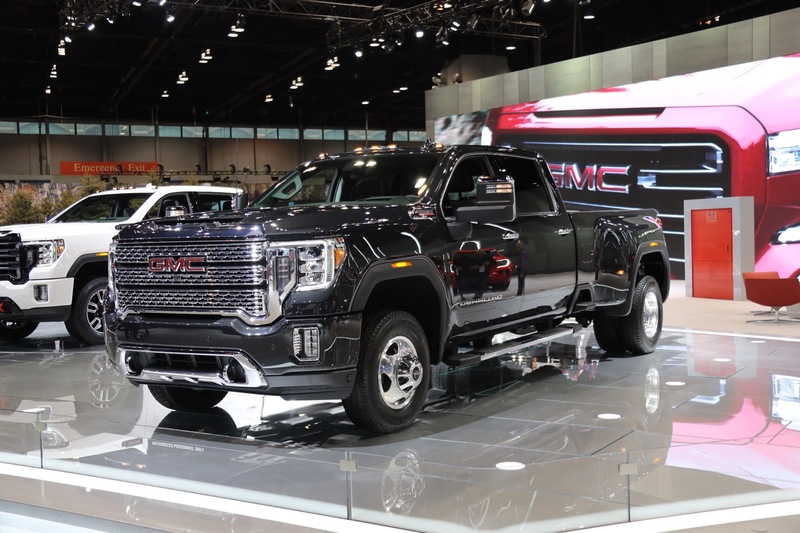 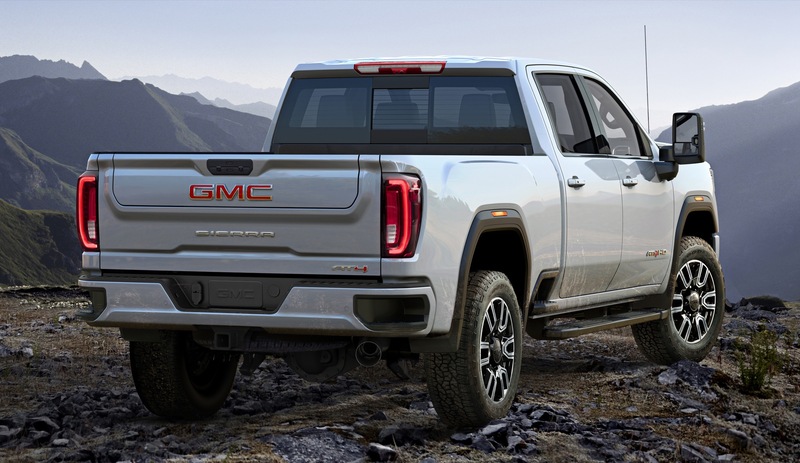 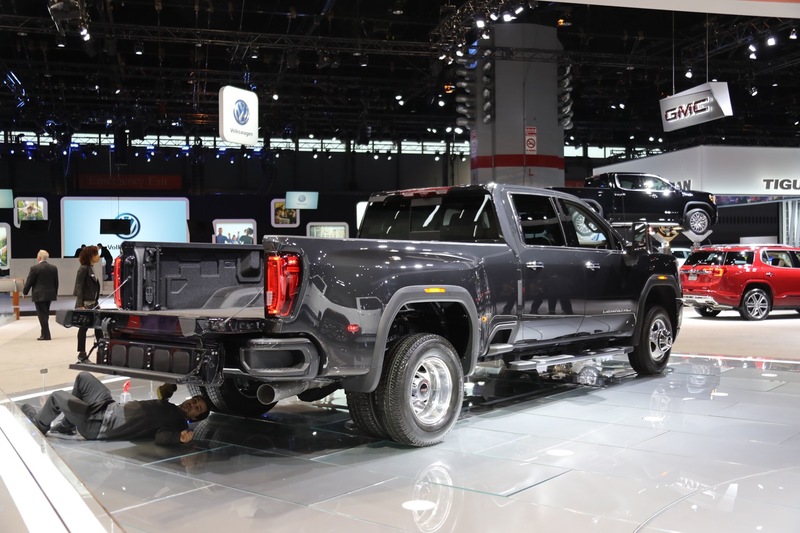 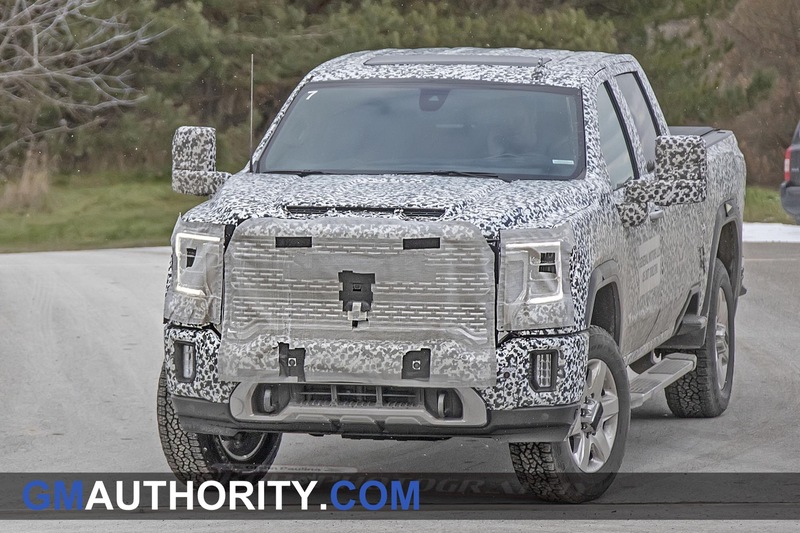 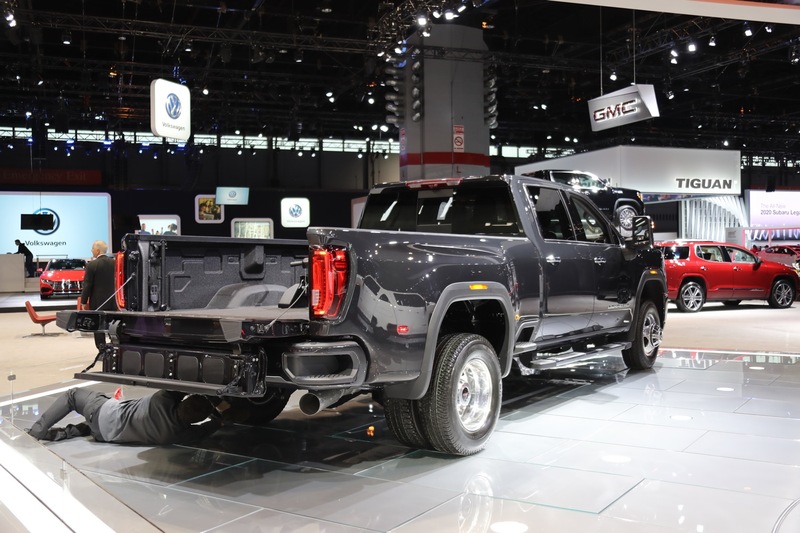 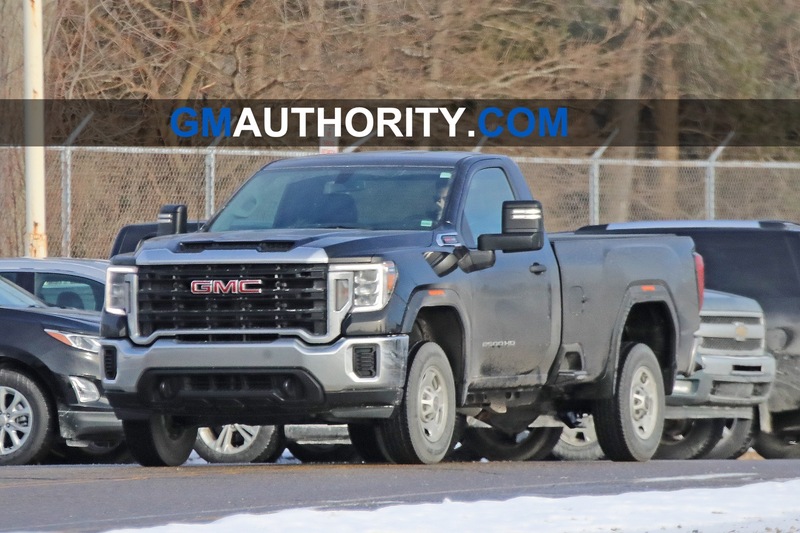 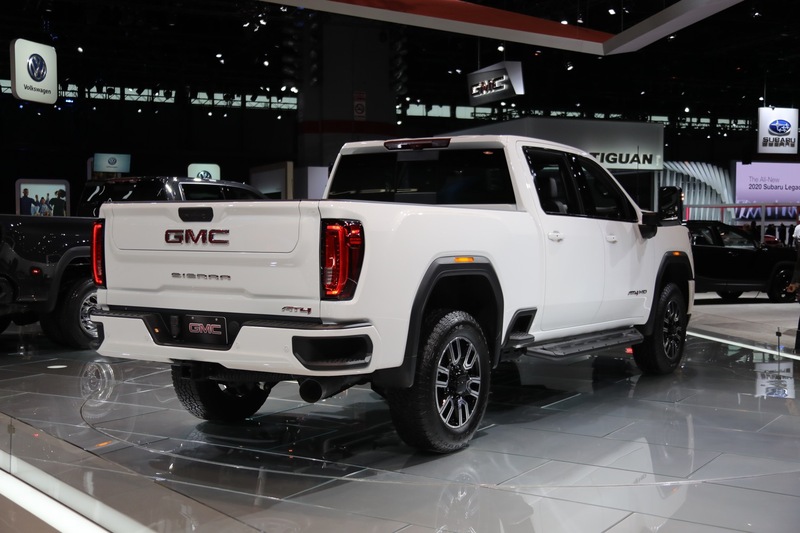 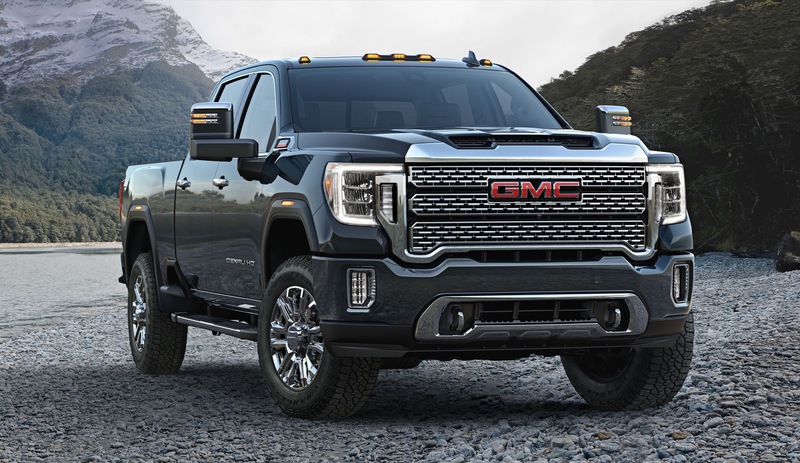 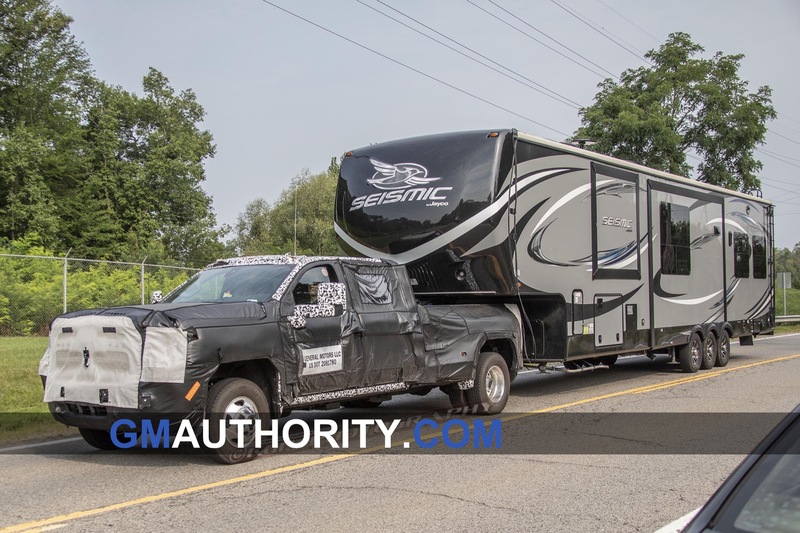 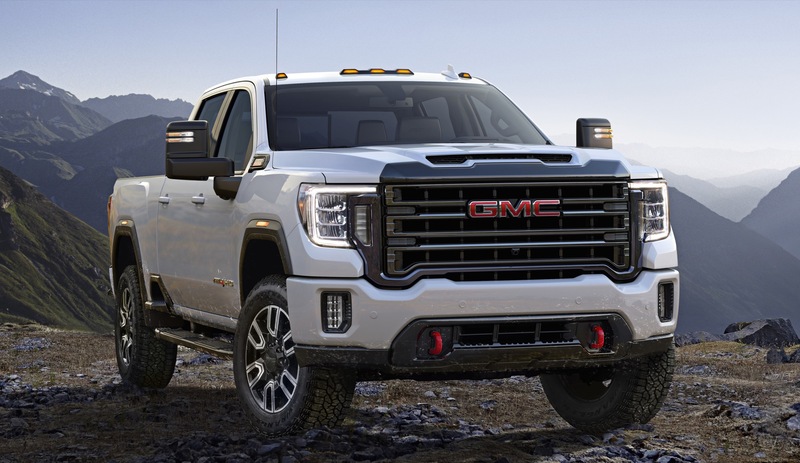 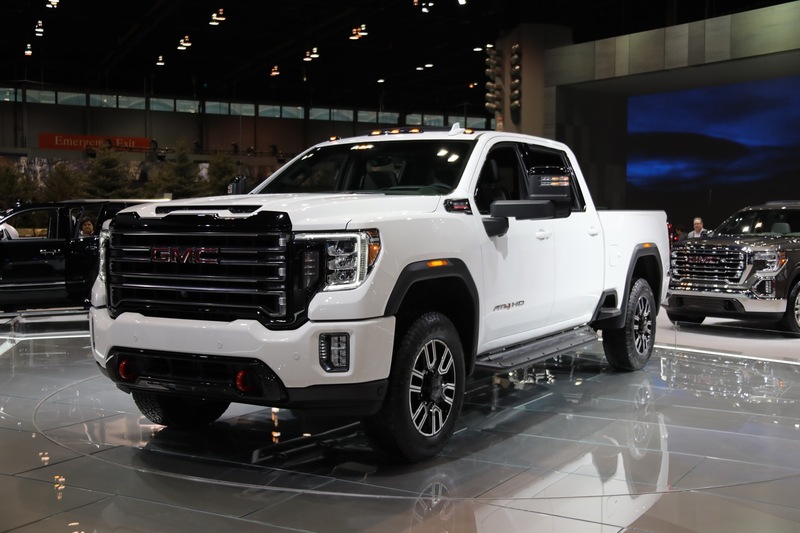 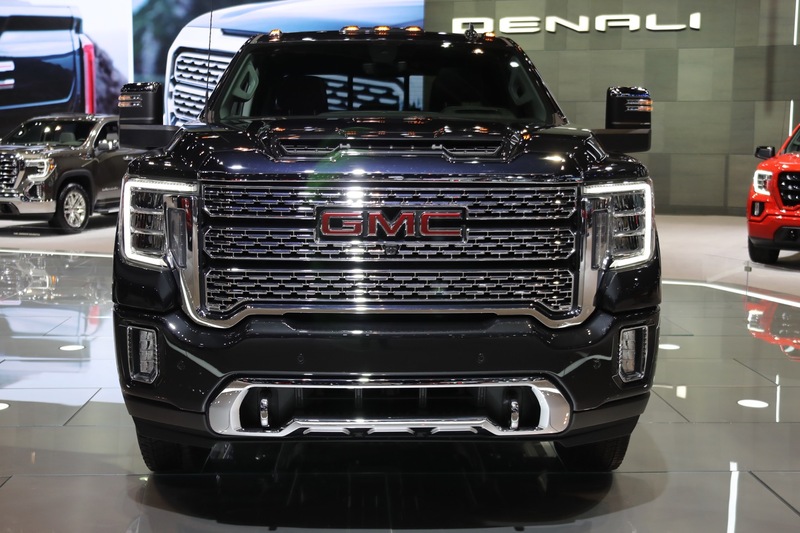 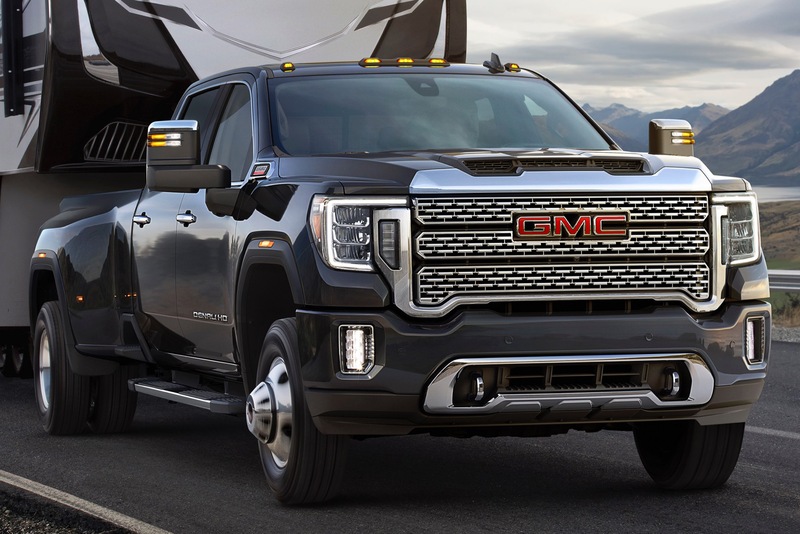 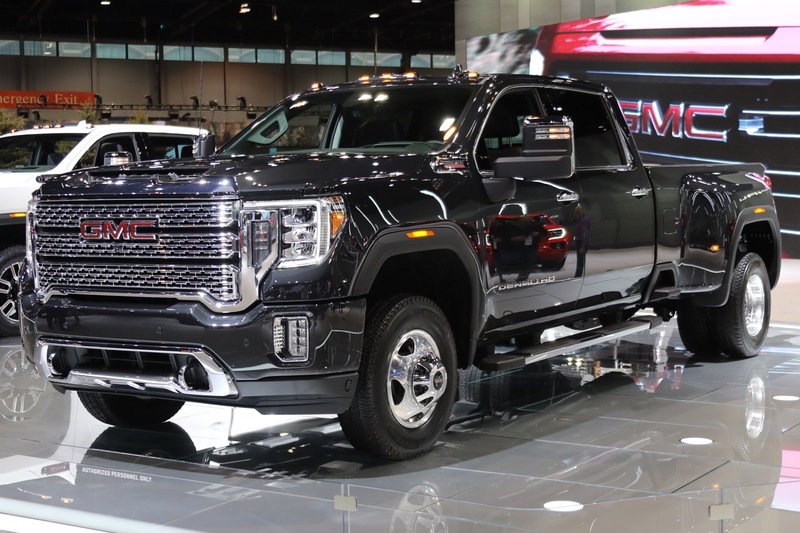 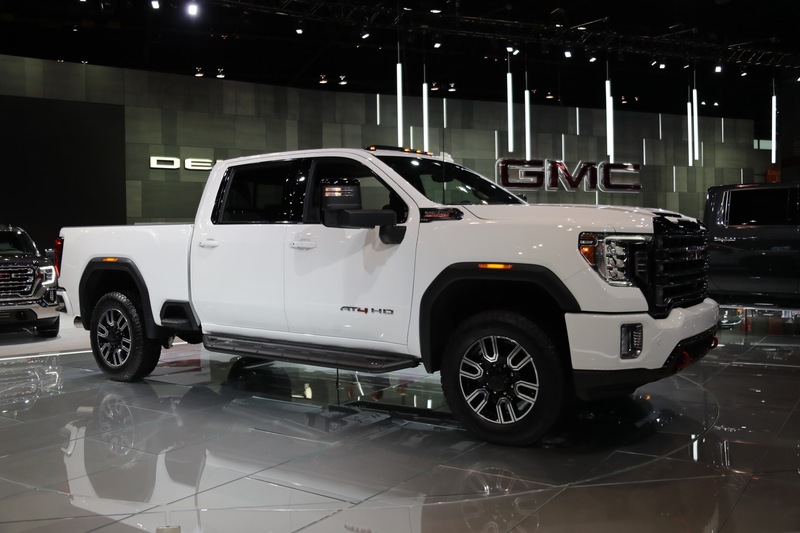 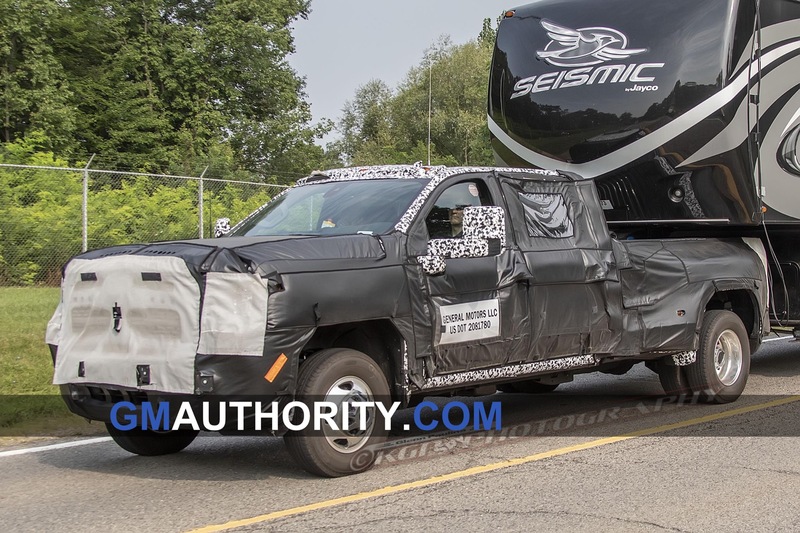 GMC debuted the 2020 Sierra HD with numerous high-tech features to deliver the most capable and user-friendly trailering experience ever offered by the brand. 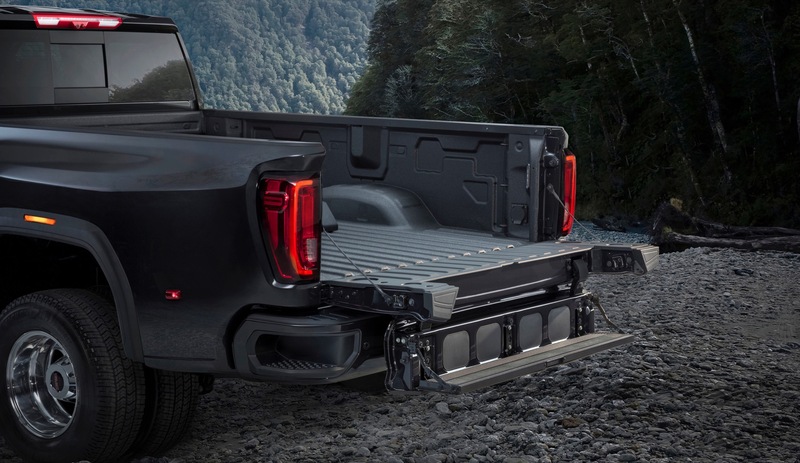 One of the standout features of the new heavy-duty pickup is the ProGrade Trailering System. 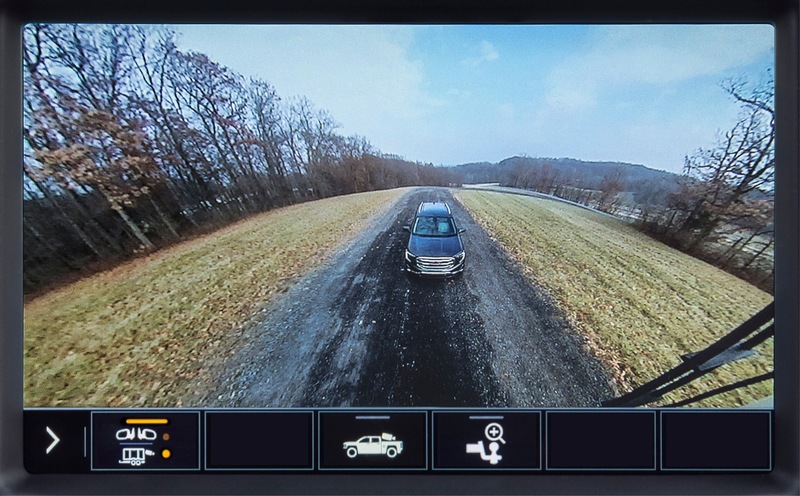 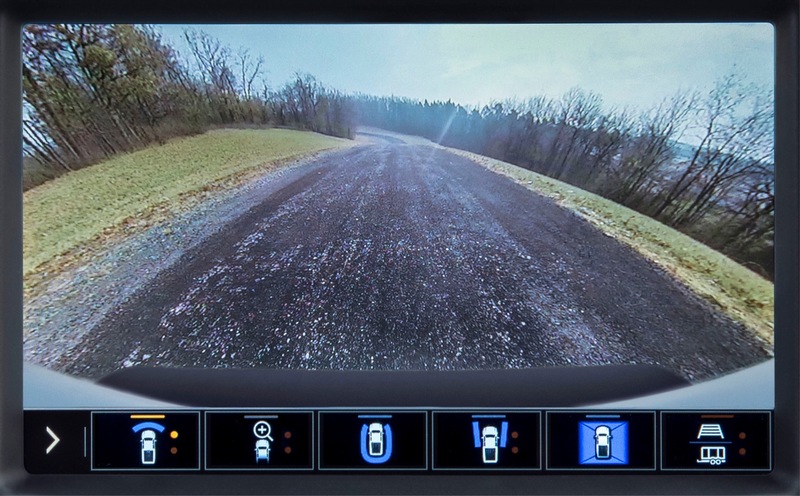 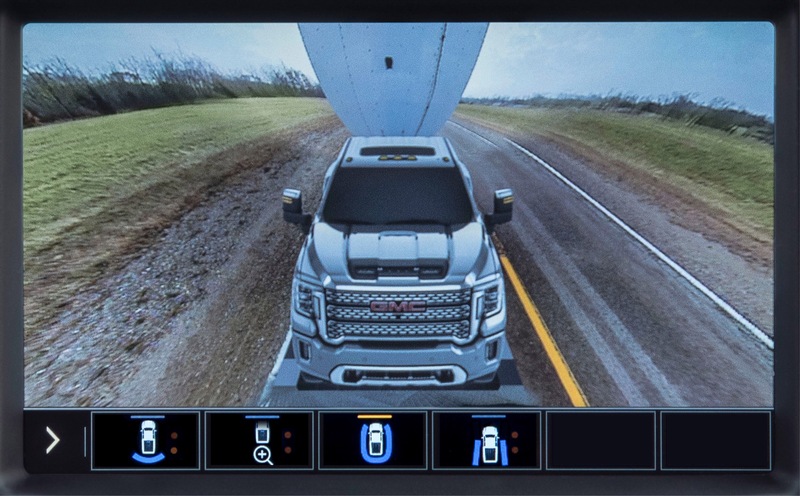 First introduced on the 2019 Sierra 1500, the system received various upgrades for the new Sierra Heavy Duty, one of which are the 15 camera views to help maneuver the truck more easily. 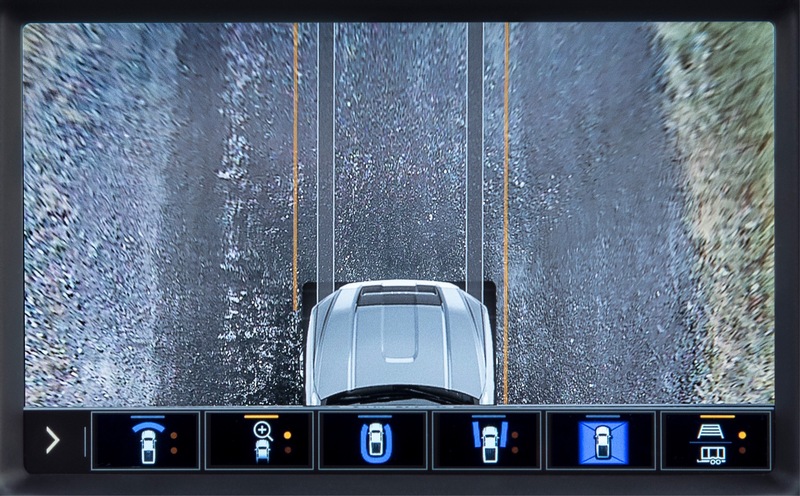 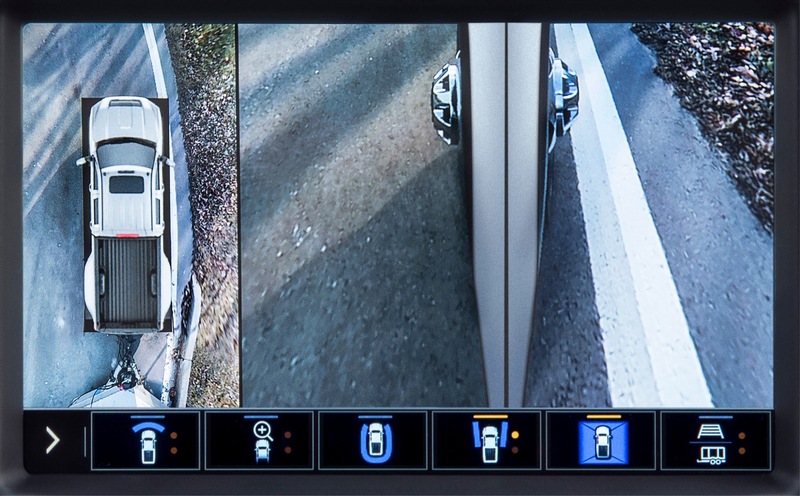 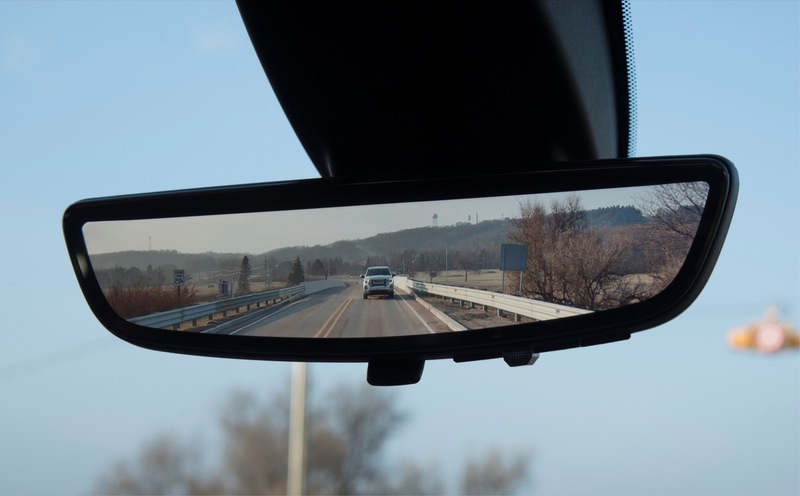 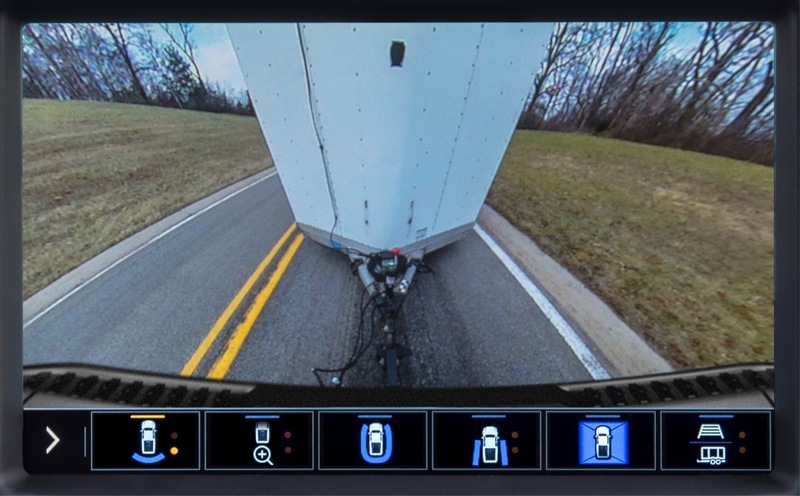 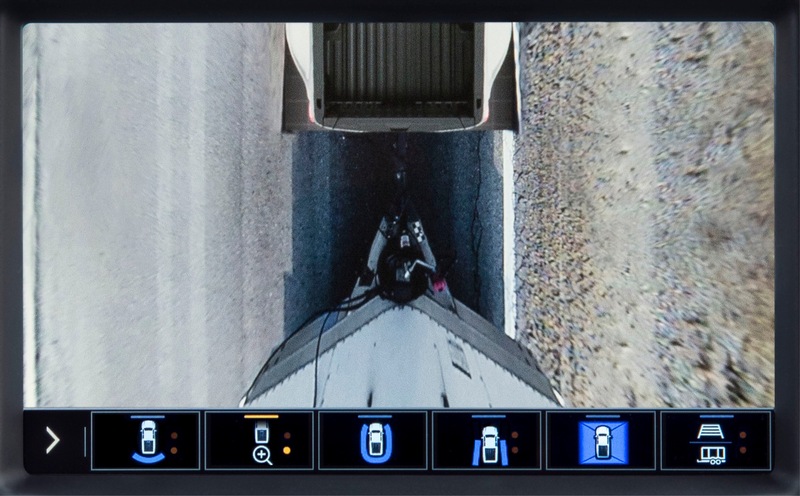 And possibly the most noteworthy of these 15 camera views is the new Transparent Trailer View, which enhances towing visibility by allowing the driver to see “through” a trailer in tow. 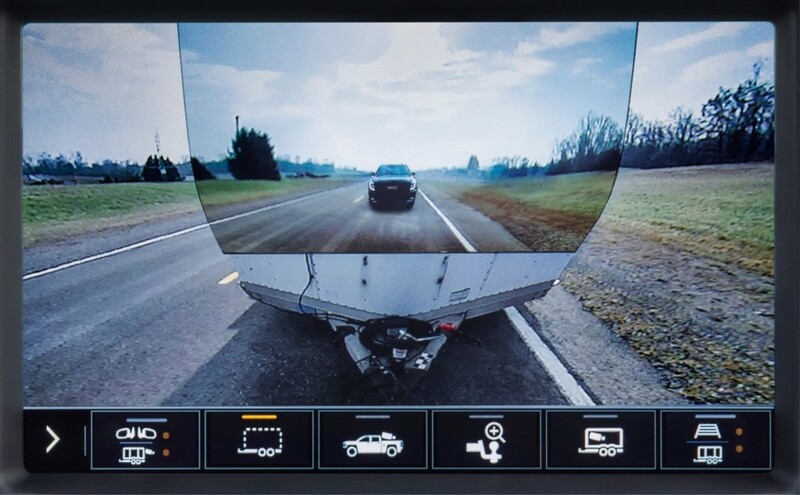 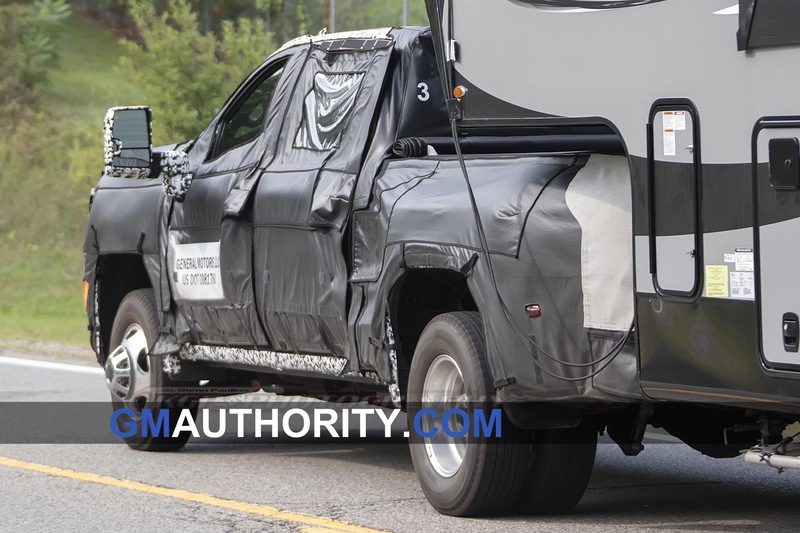 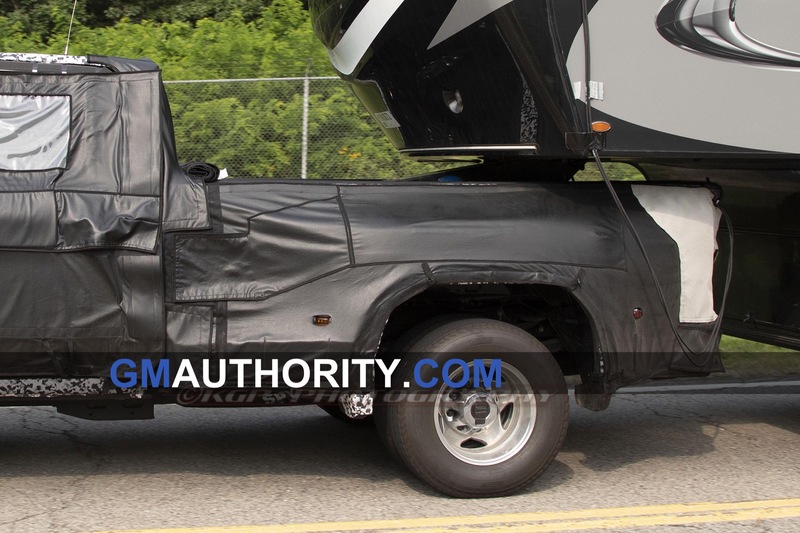 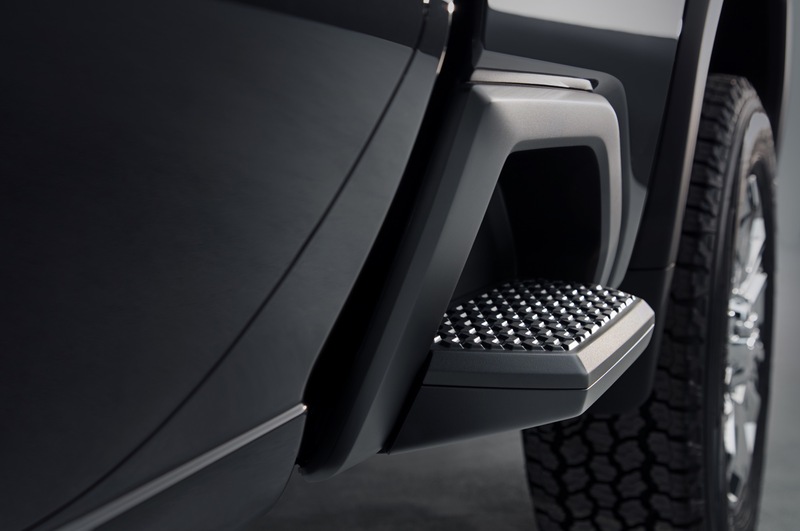 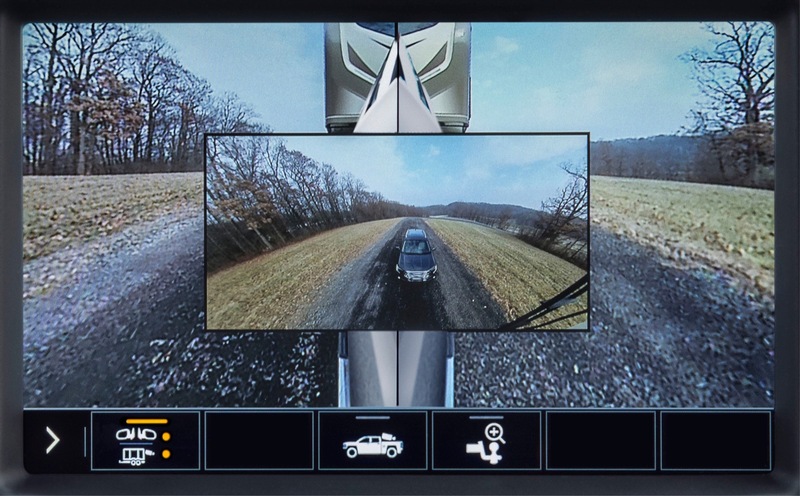 The revolutionary transparent trailer view uses the tailgate camera on the 2020 Sierra HD along with an available accessory camera mounted on the rear of the trailer. 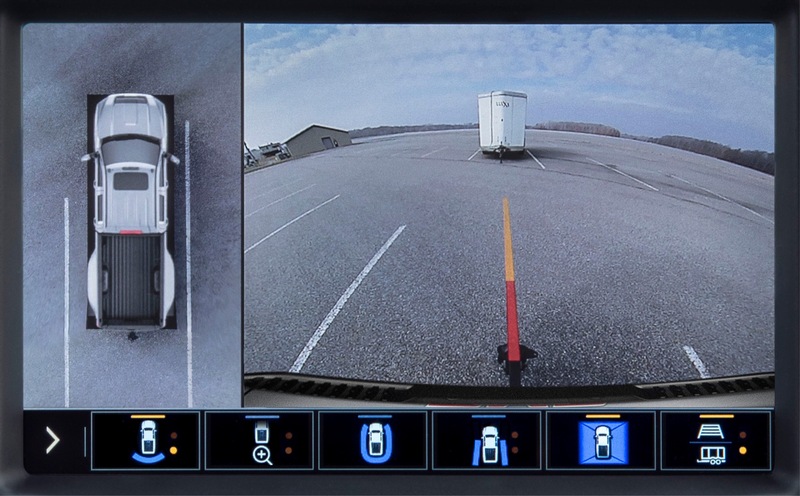 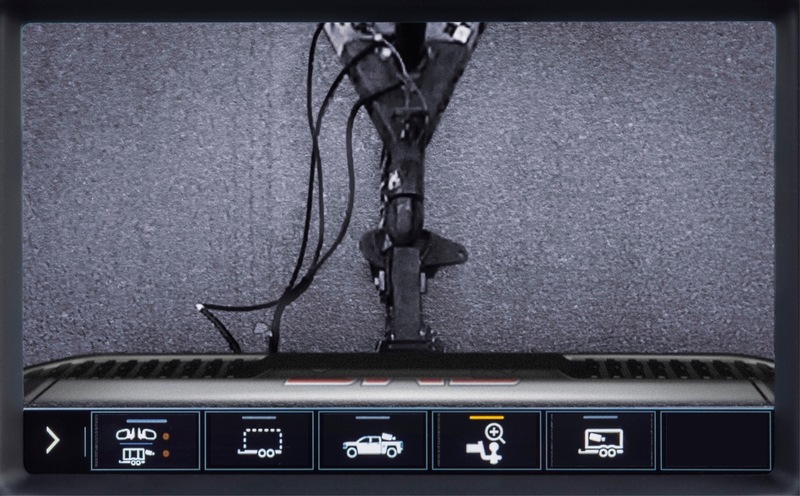 Sophisticated software processes the output of both cameras and makes the trailer in tow virtually invisible, thereby simplifying moves that are typically difficult when towing – such as navigating through parking lots, merging into traffic, and making tight turns. 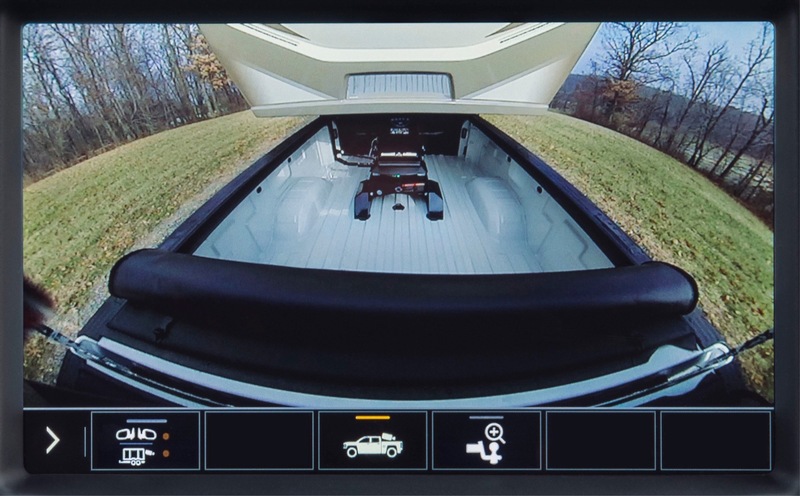 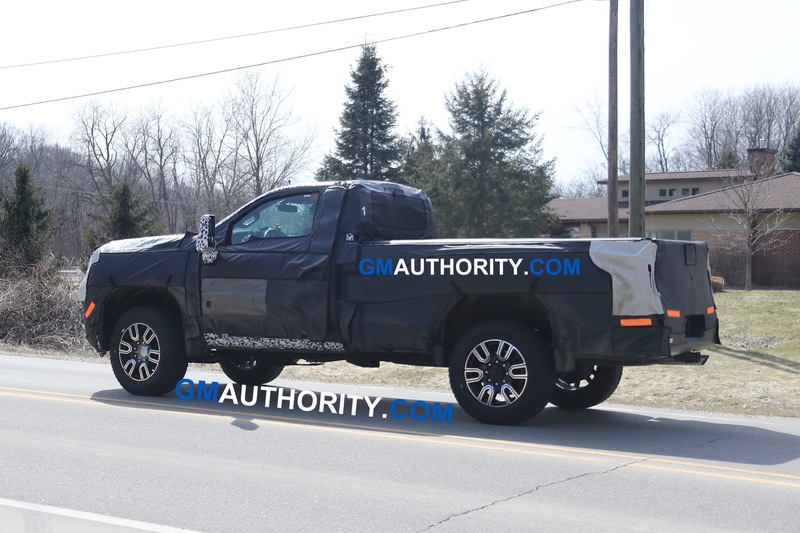 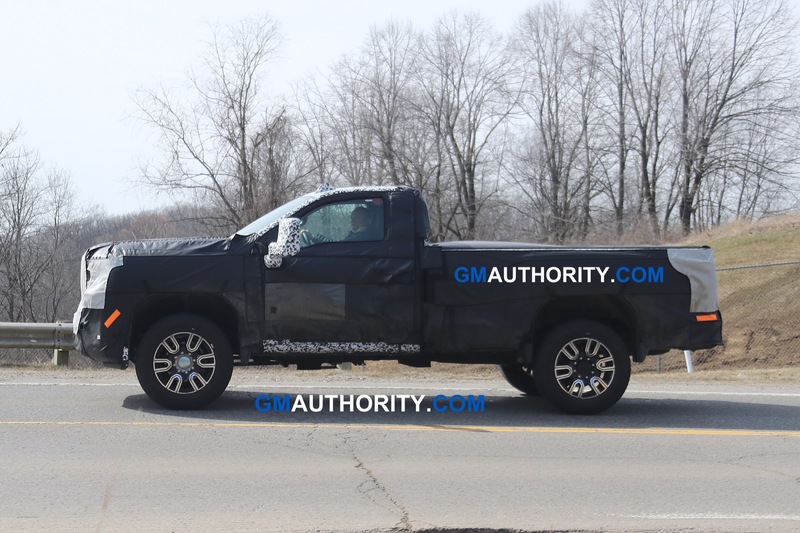 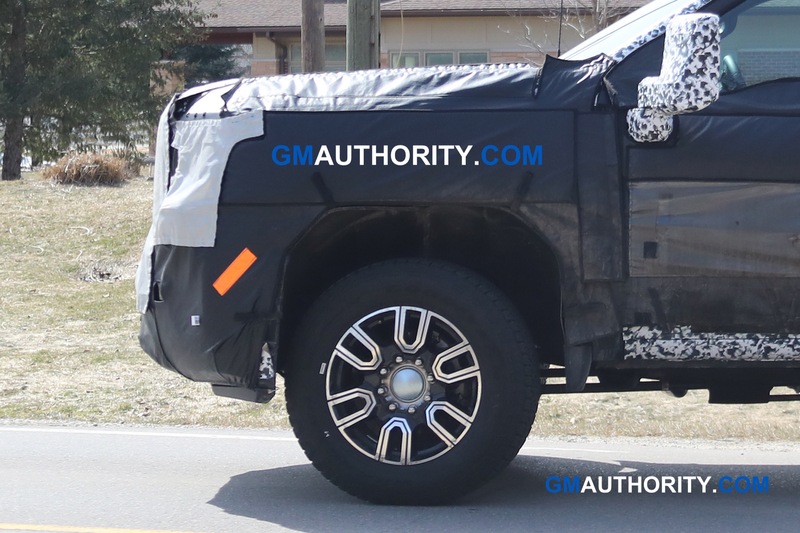 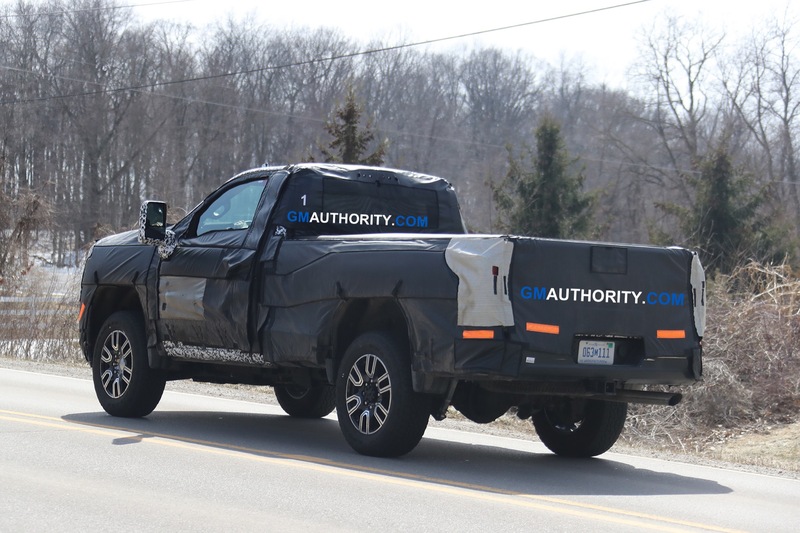 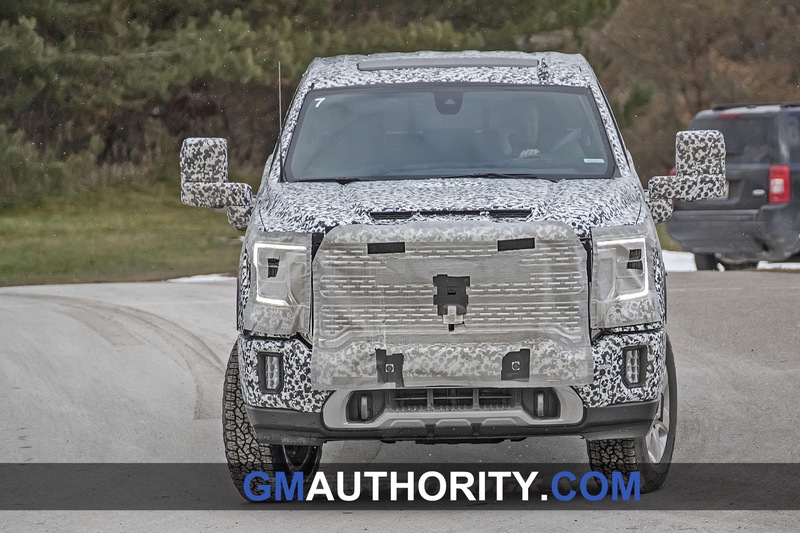 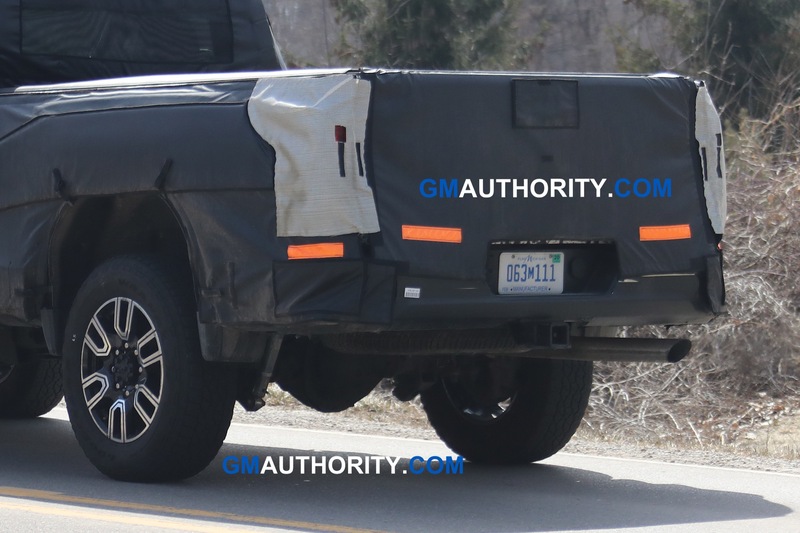 Given that towing is one of the biggest reasons for purchasing a heavy-duty pickup truck, GMC’s addition of the transparent trailer view, along with the 14 other camera views, is strategic. 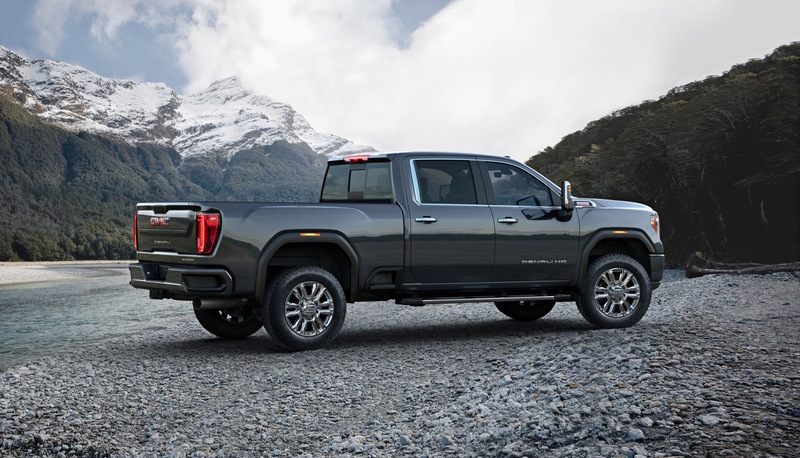 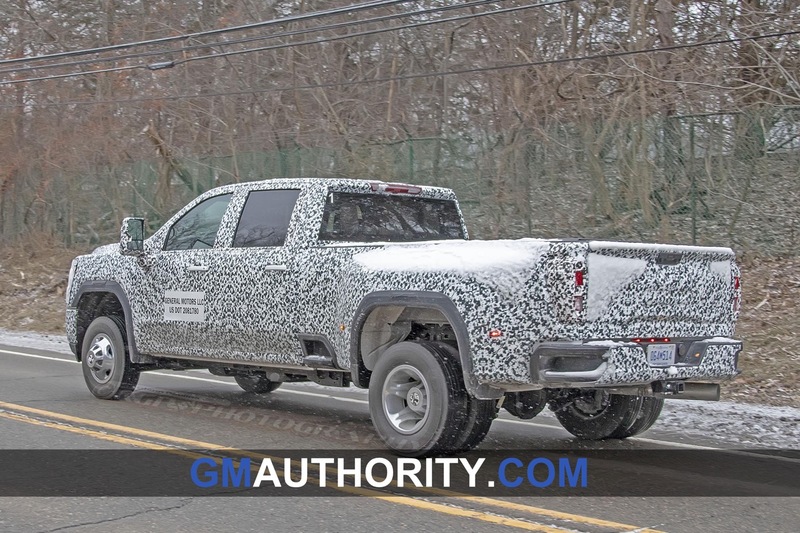 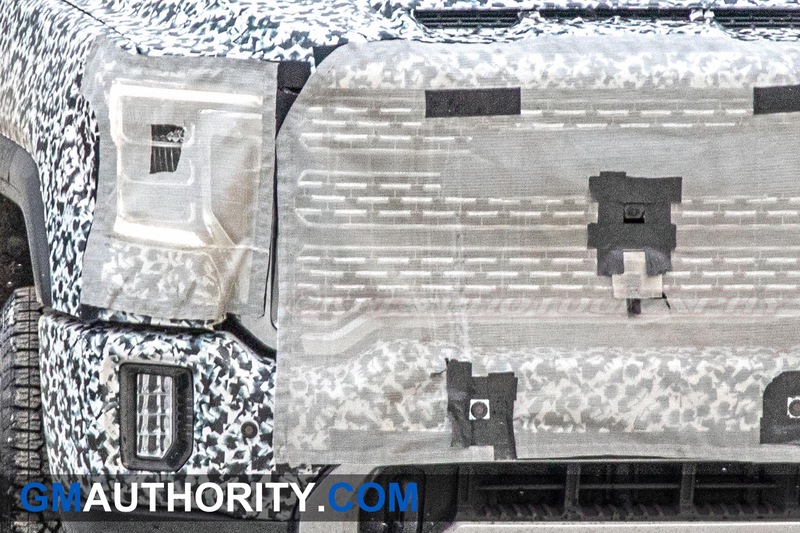 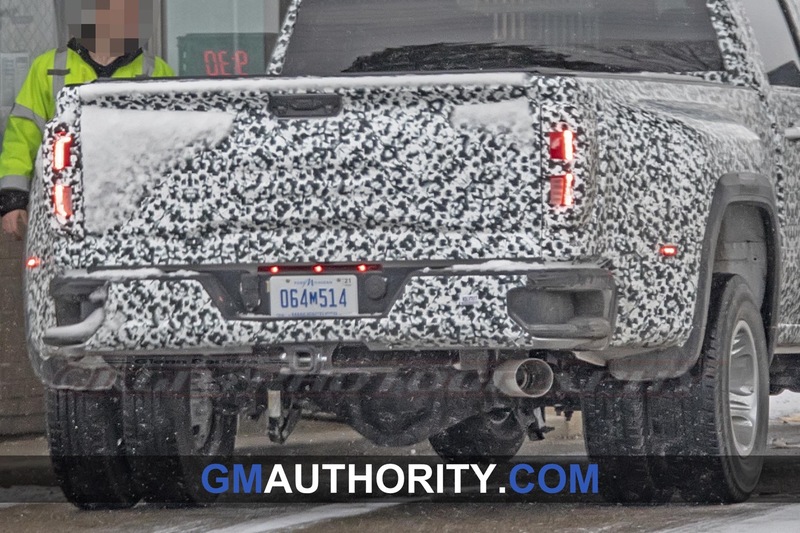 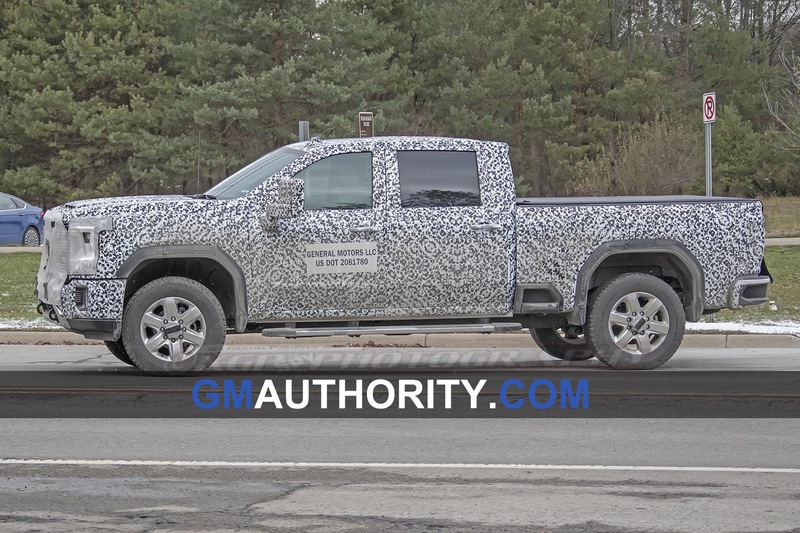 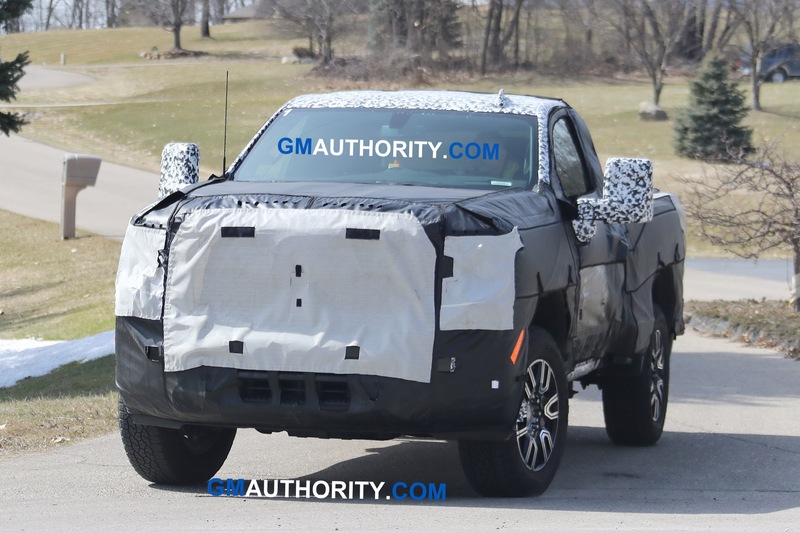 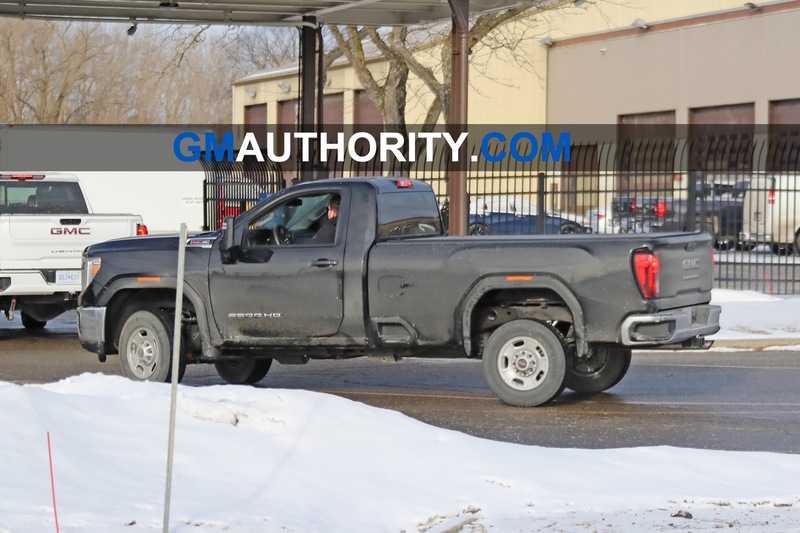 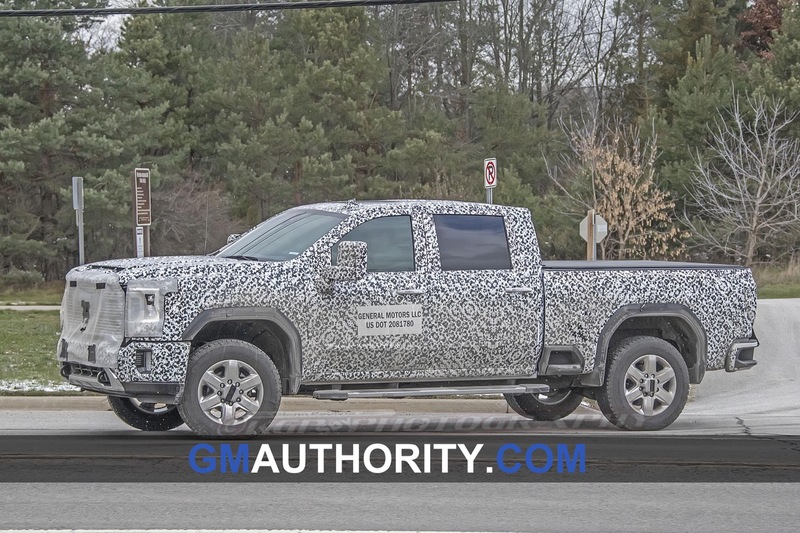 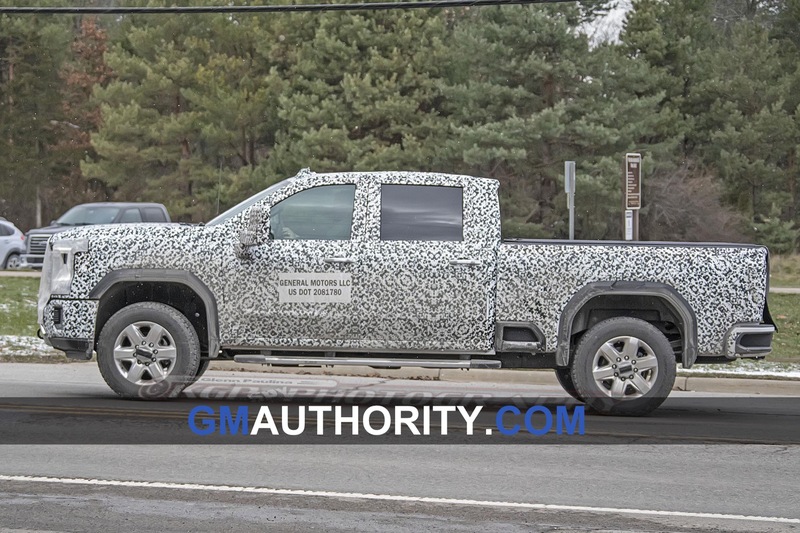 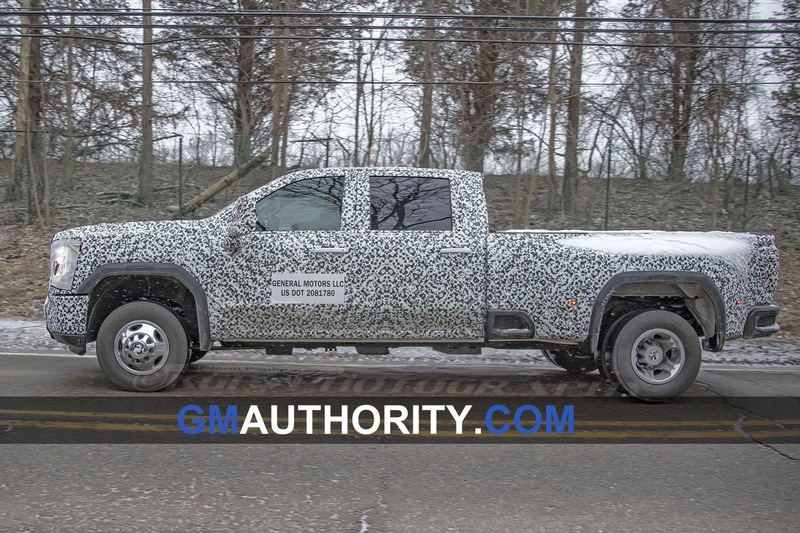 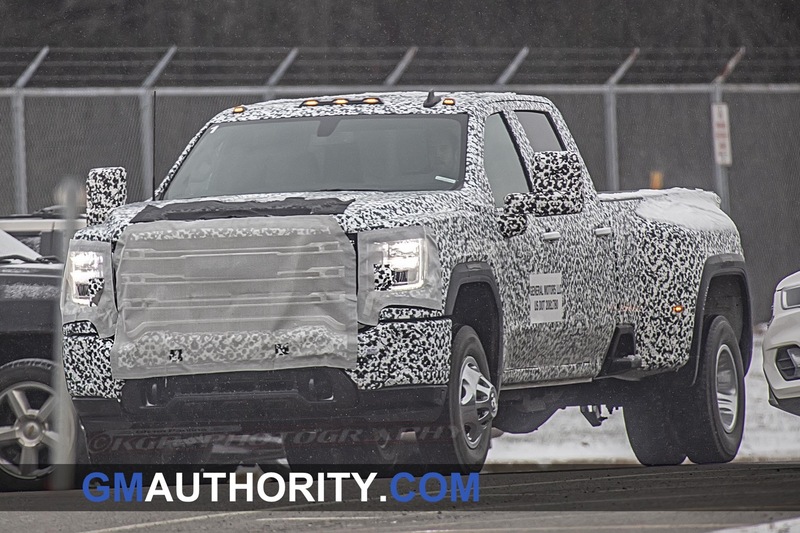 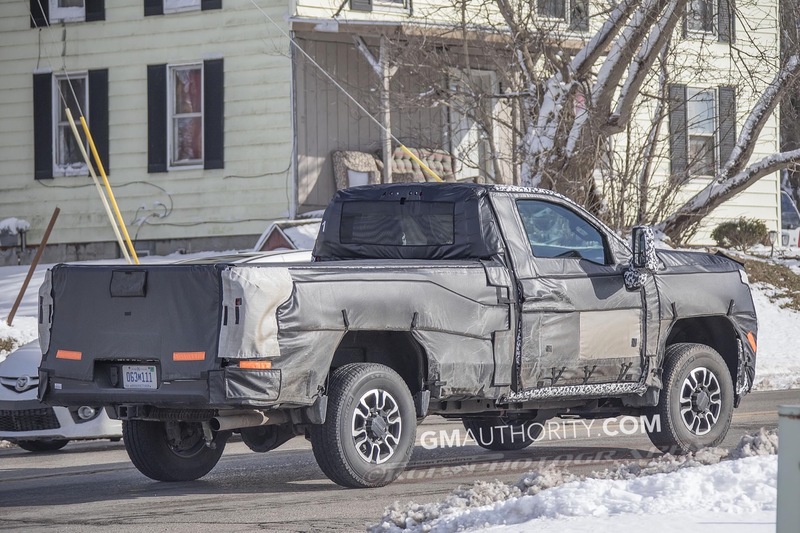 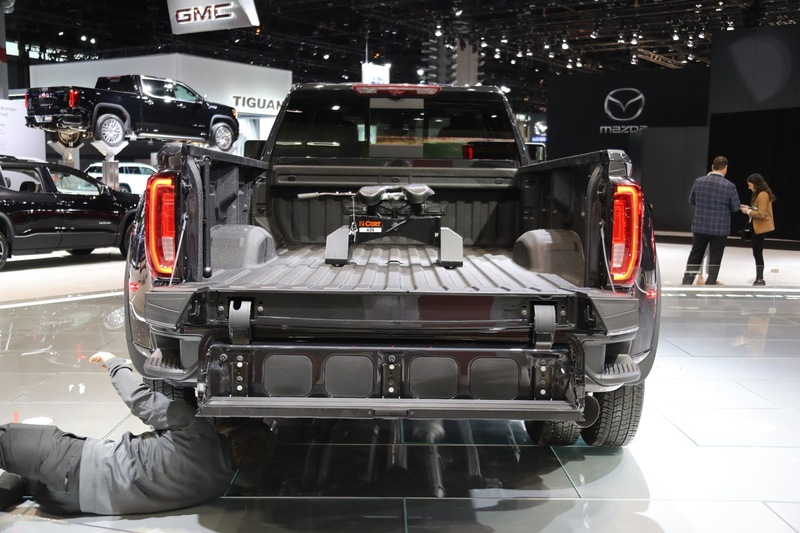 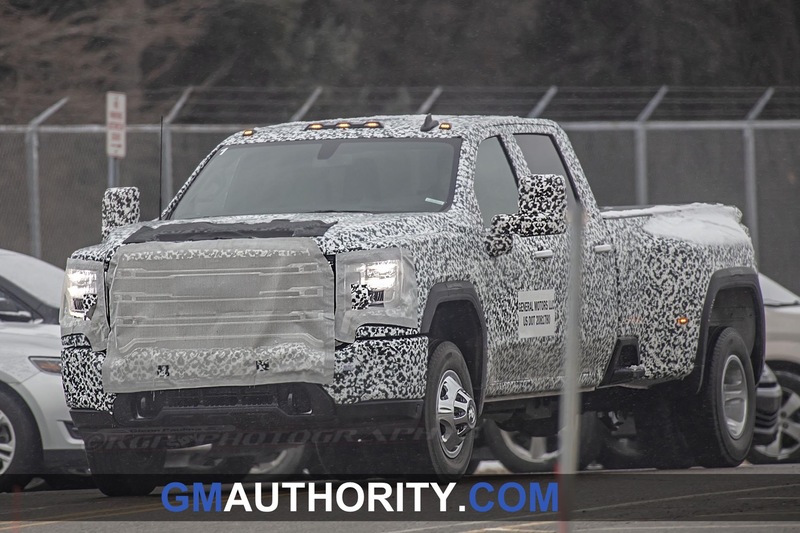 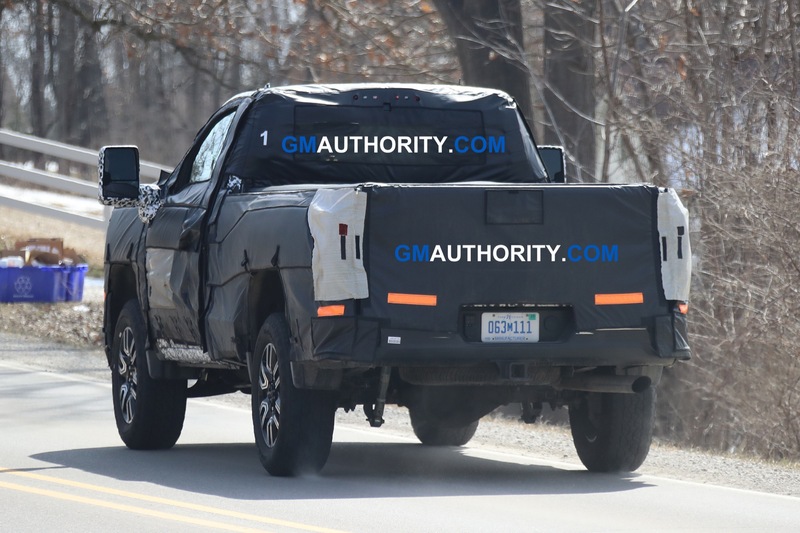 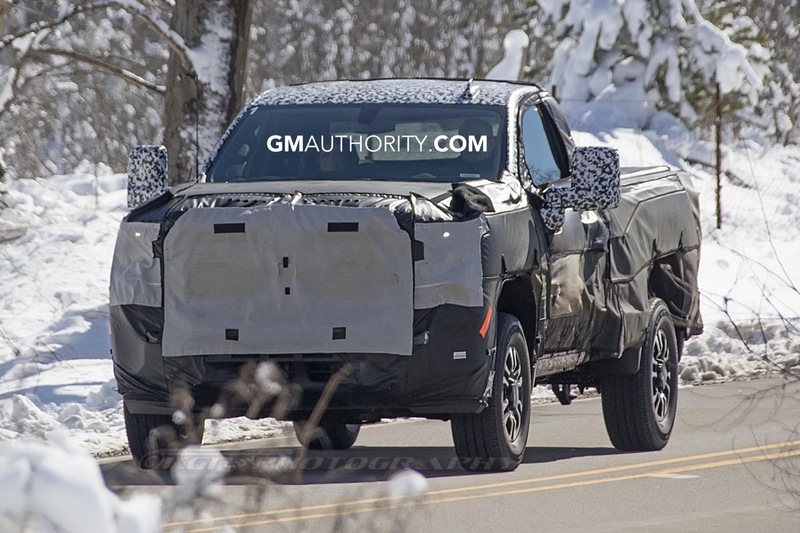 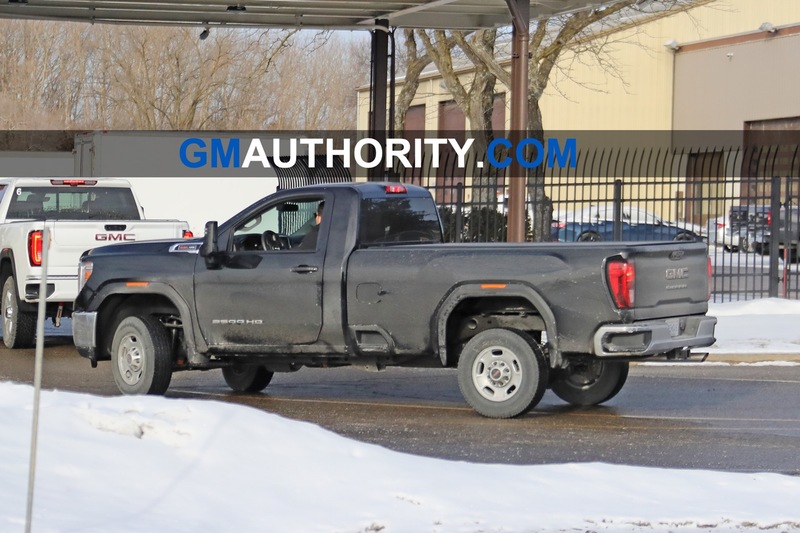 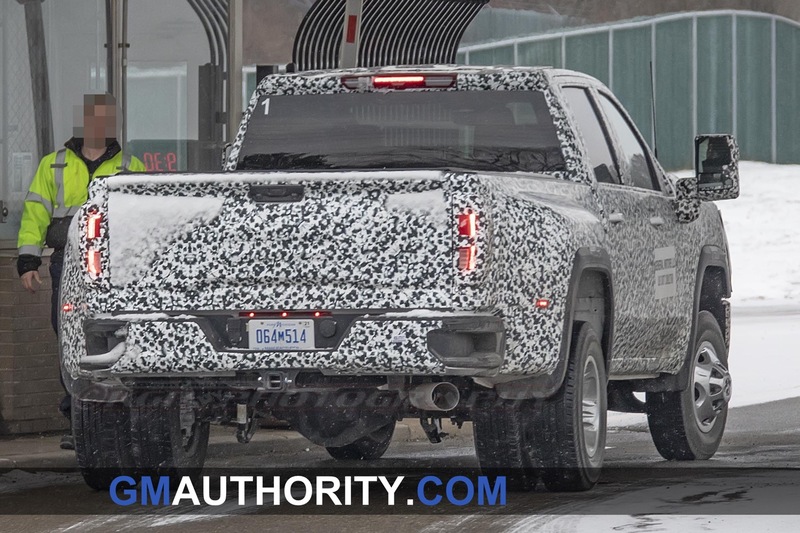 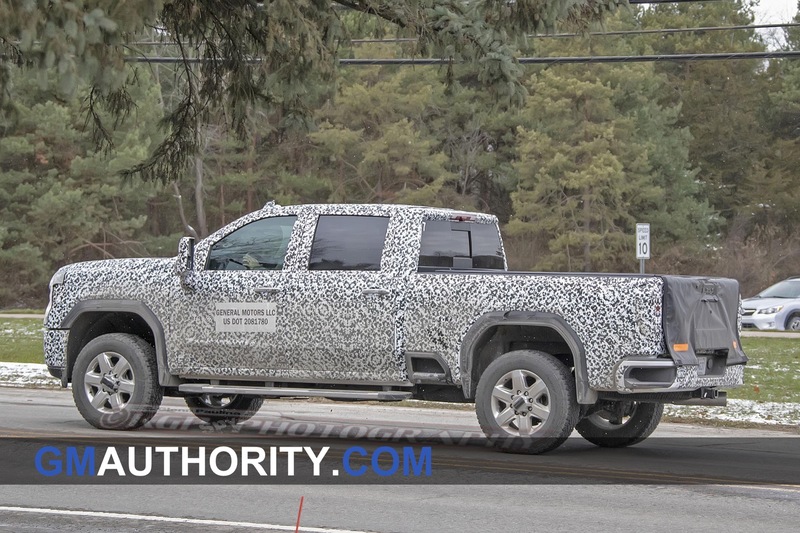 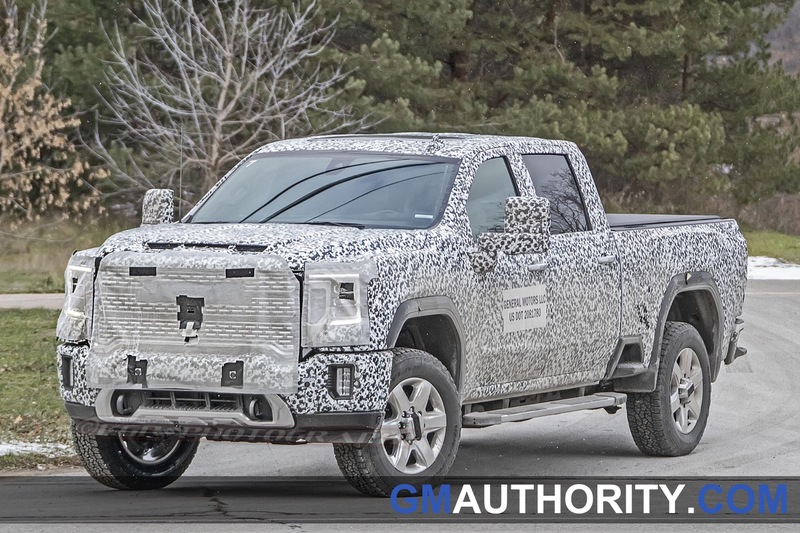 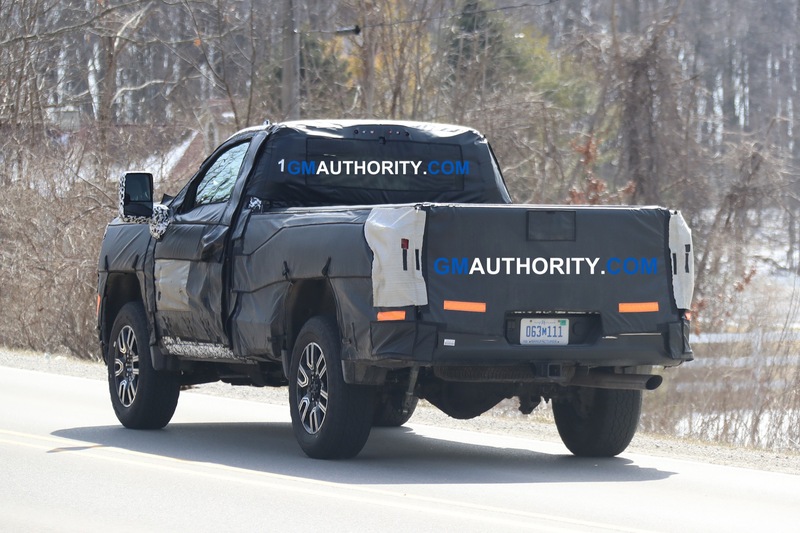 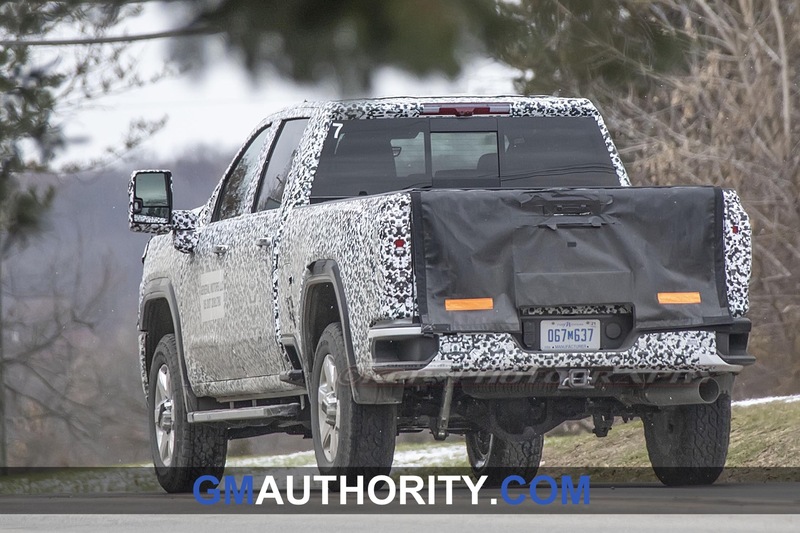 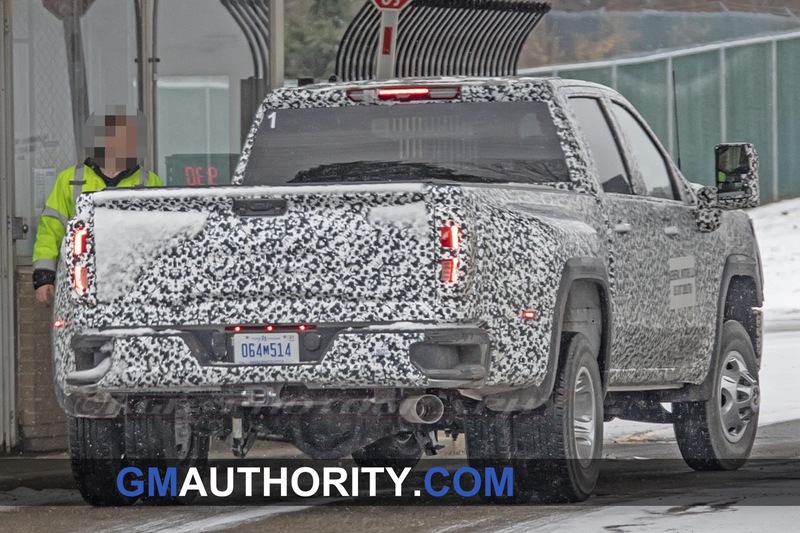 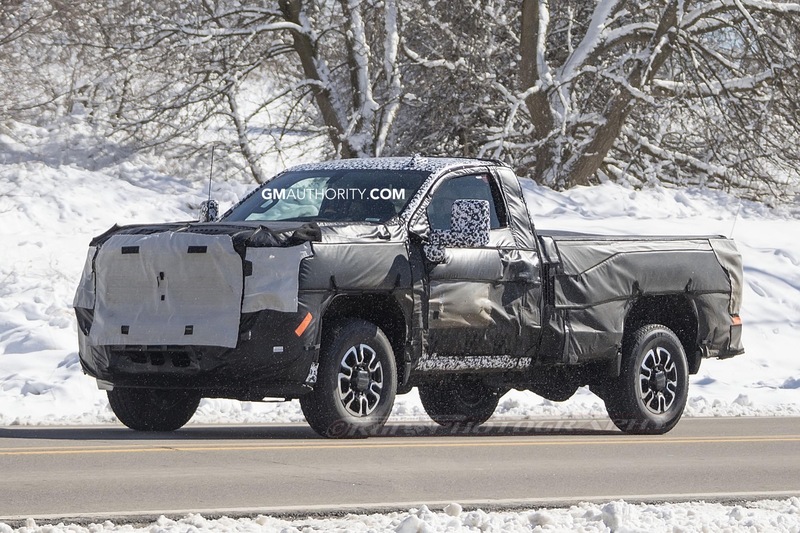 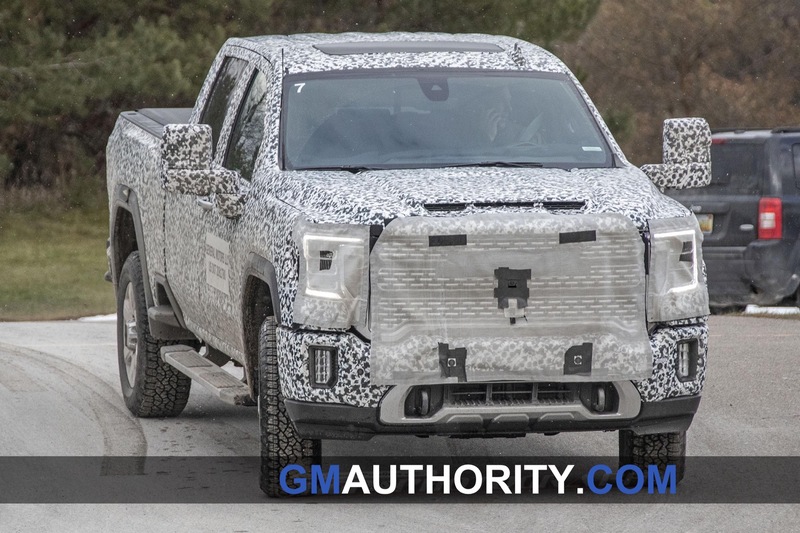 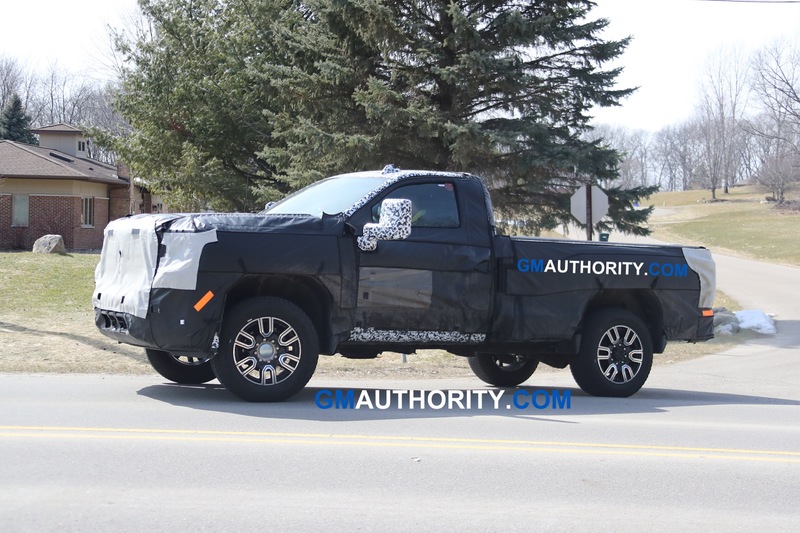 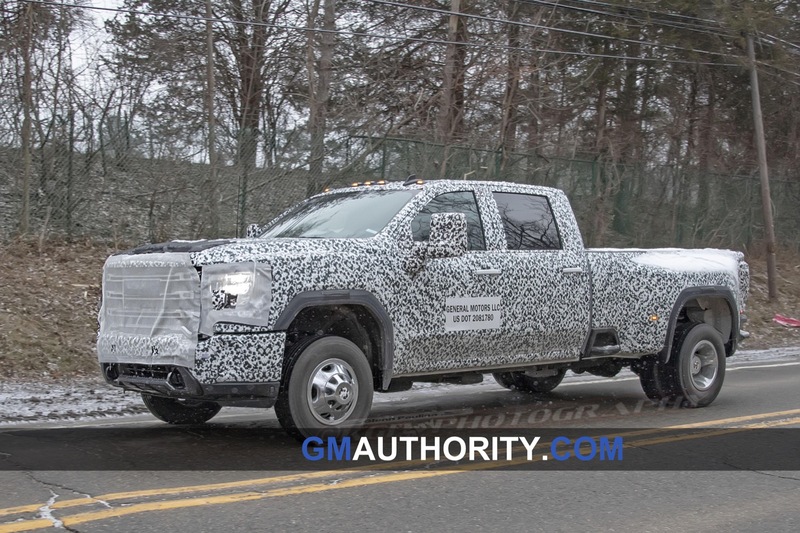 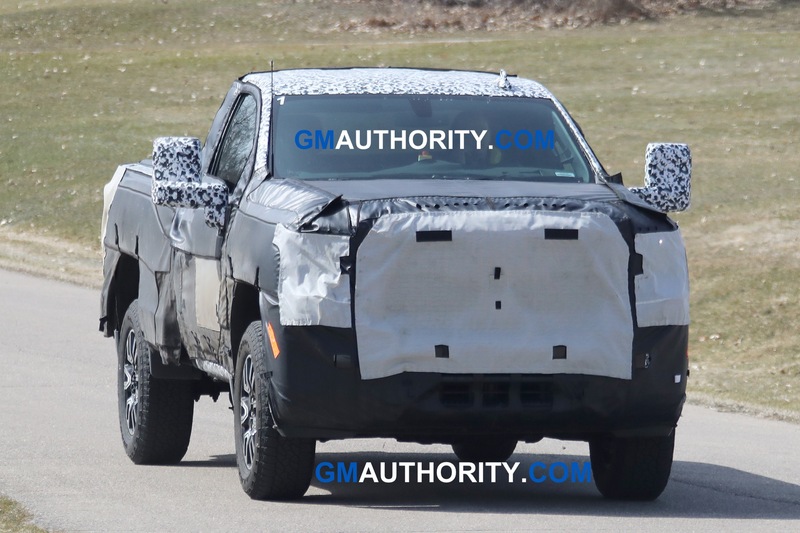 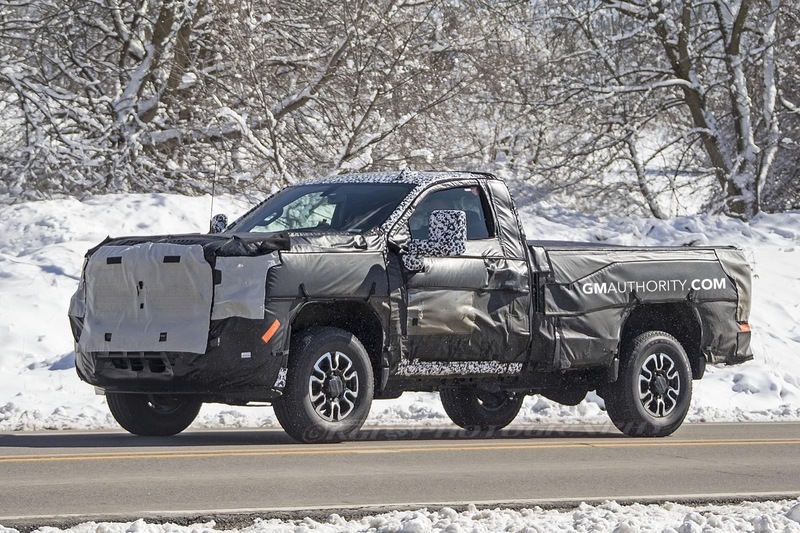 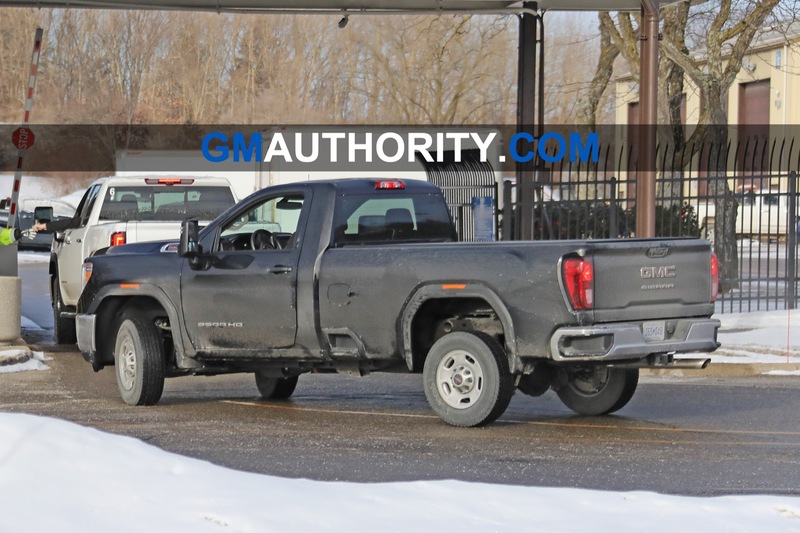 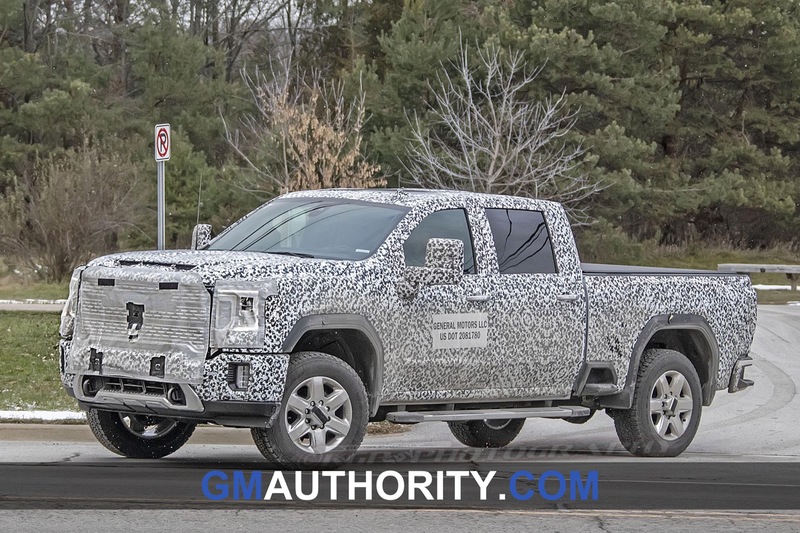 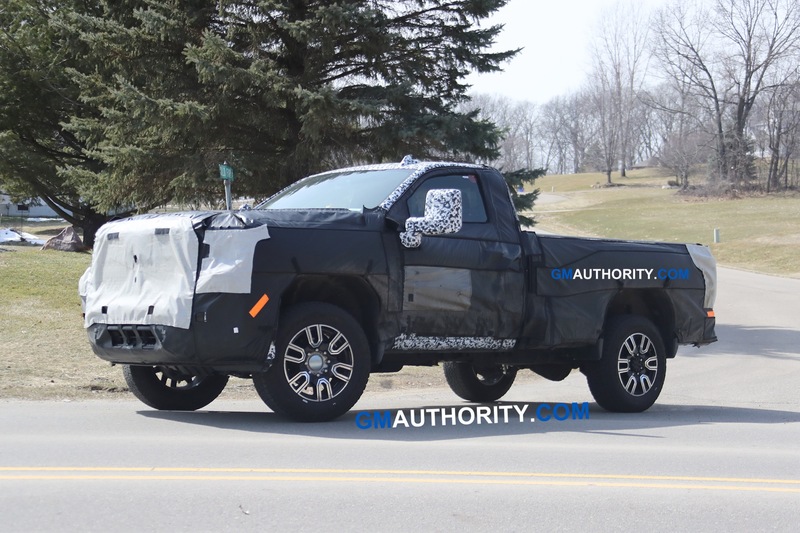 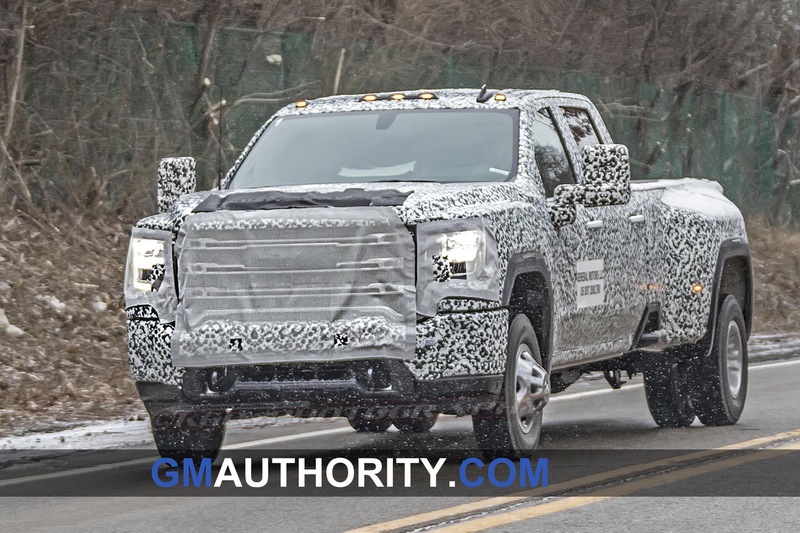 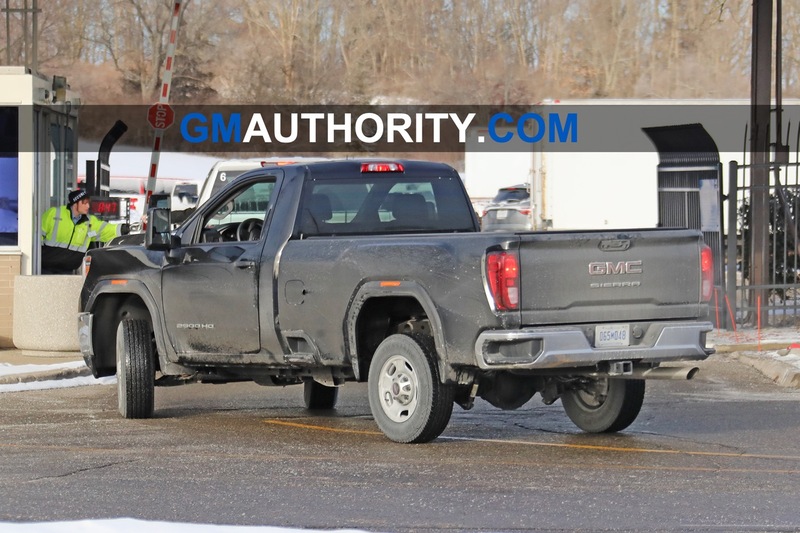 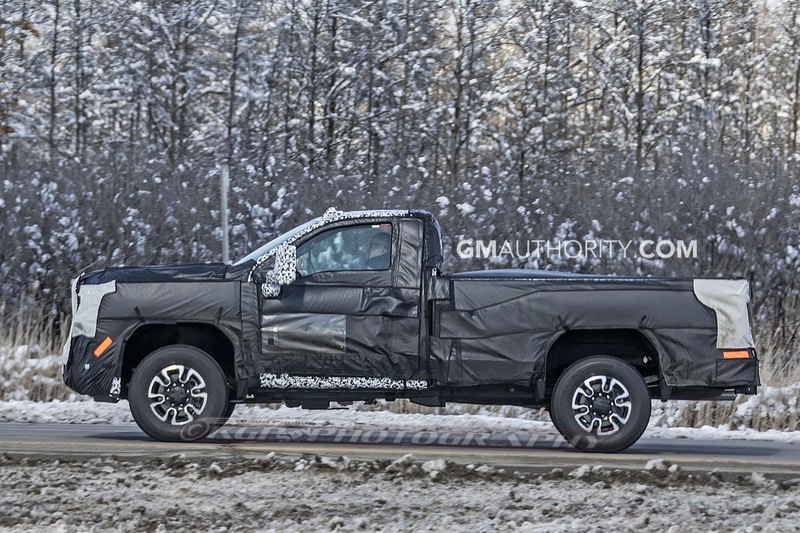 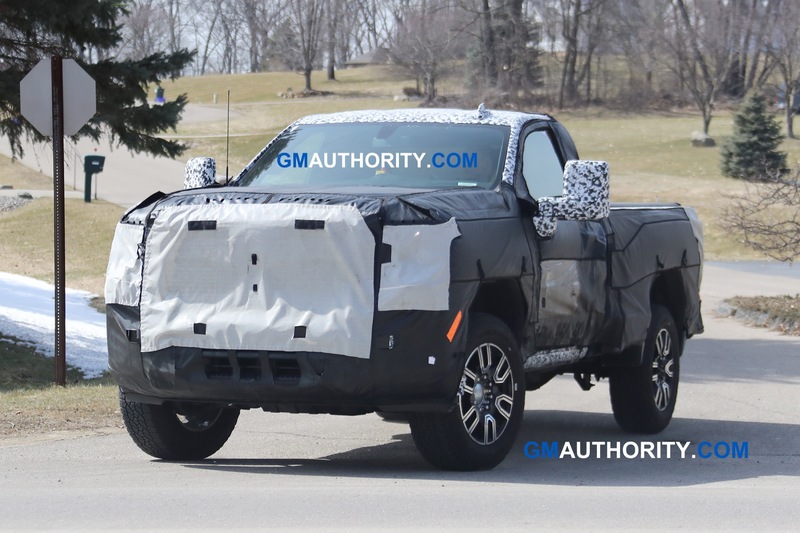 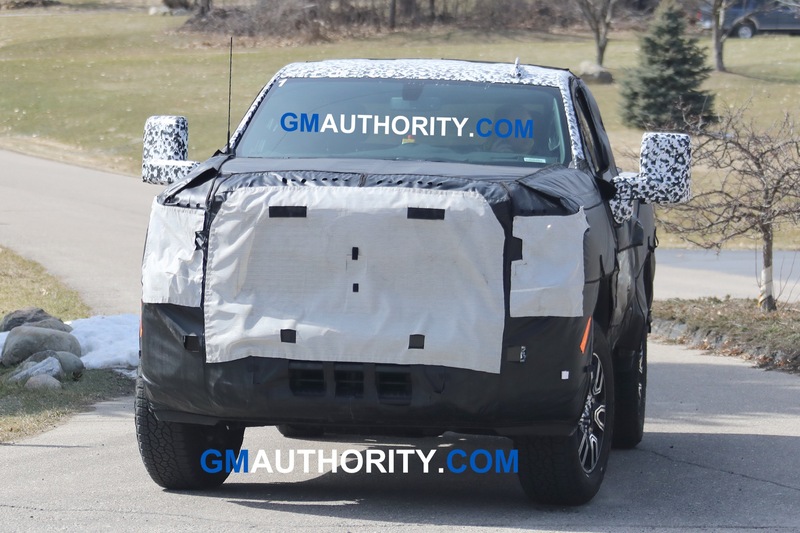 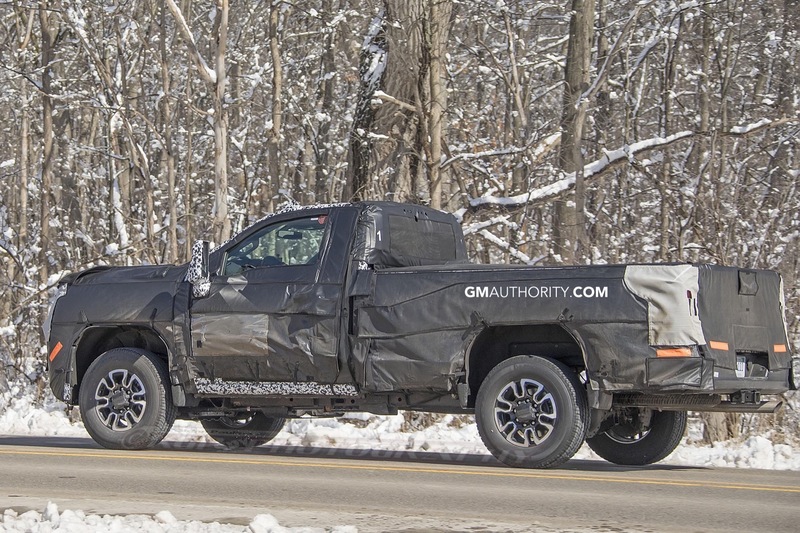 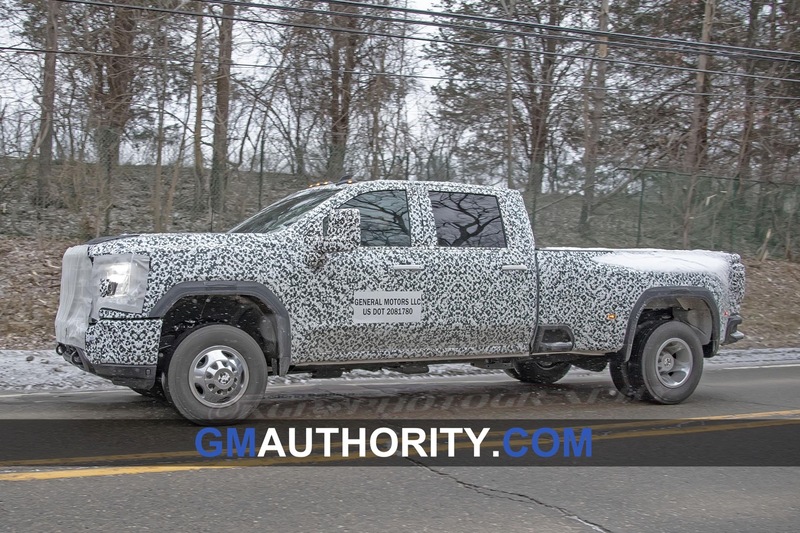 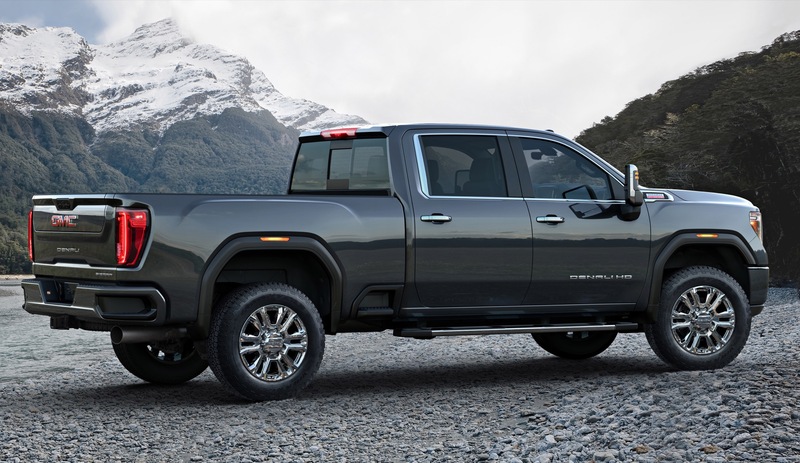 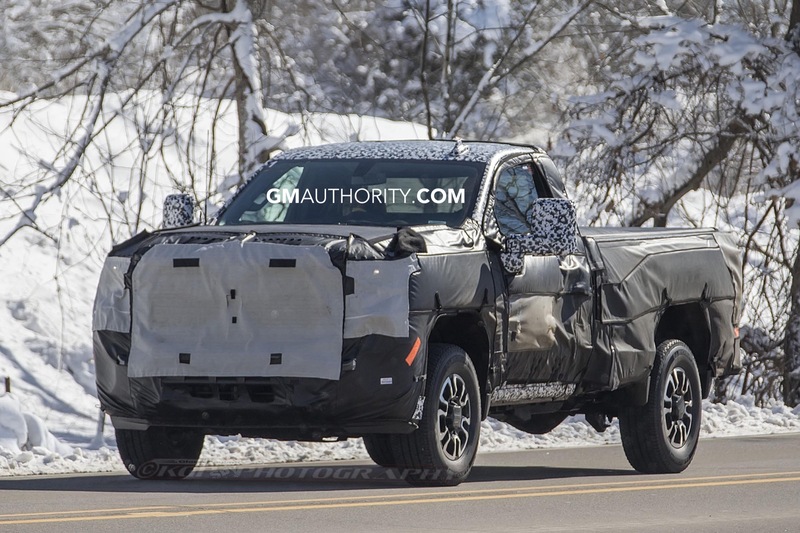 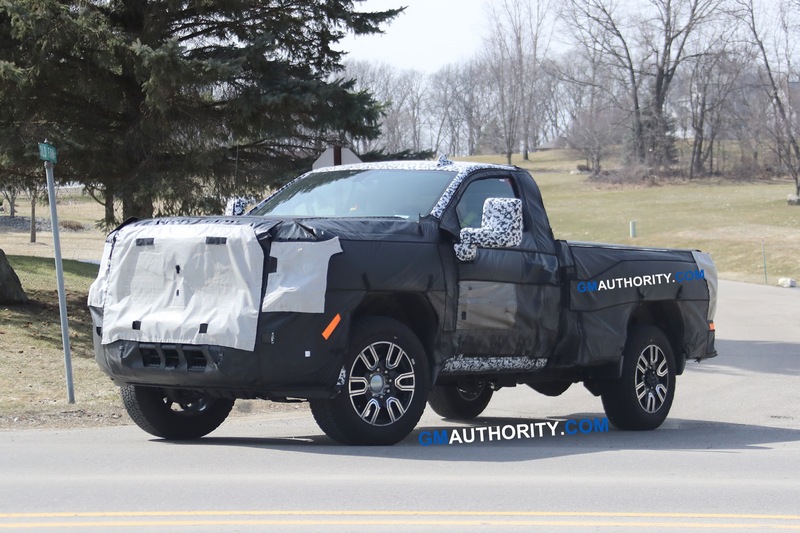 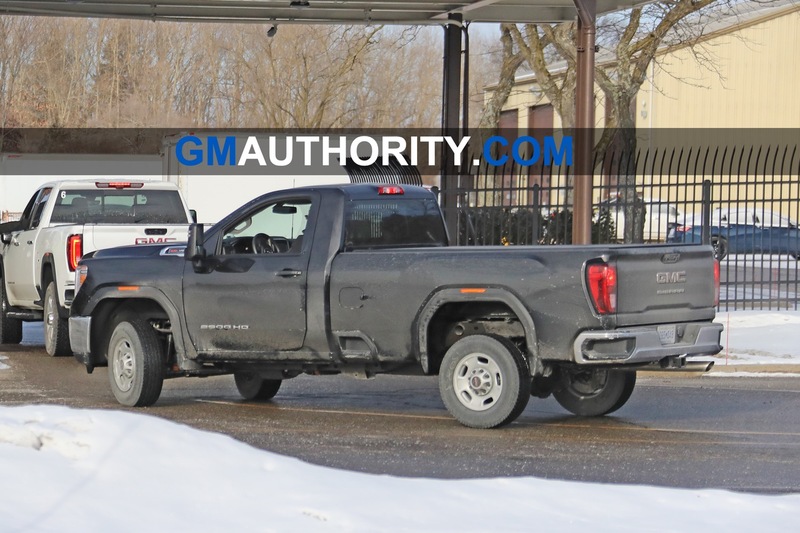 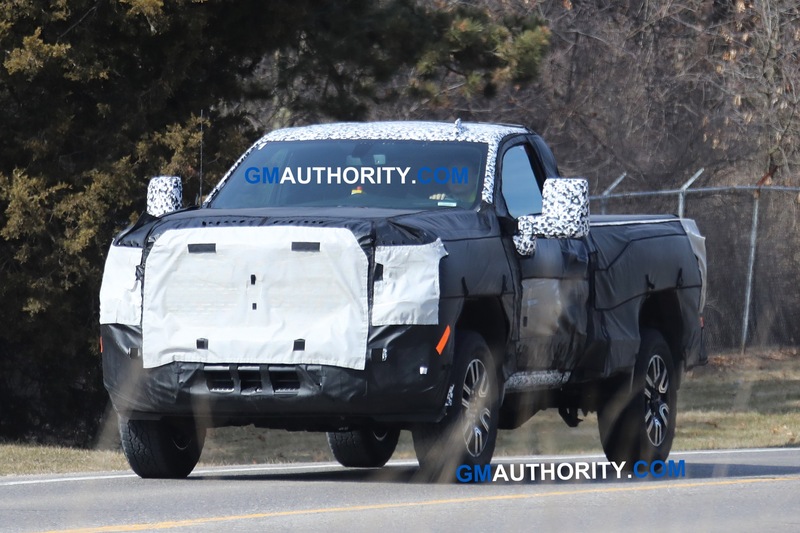 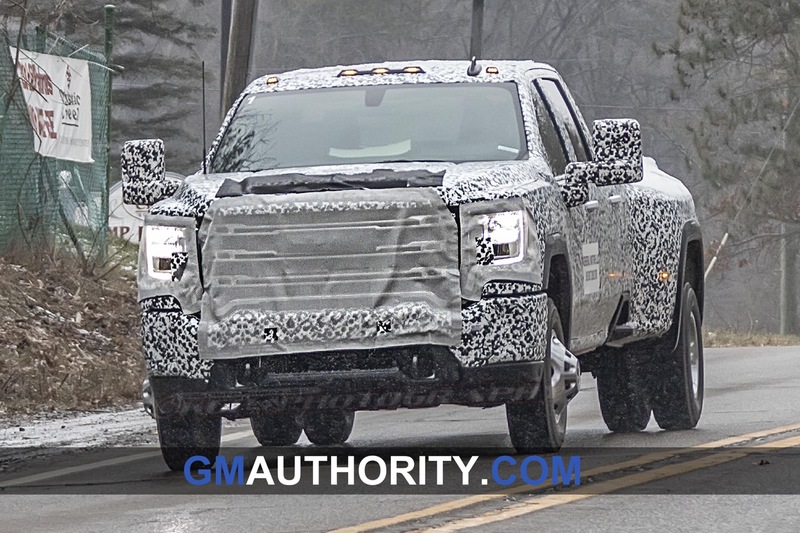 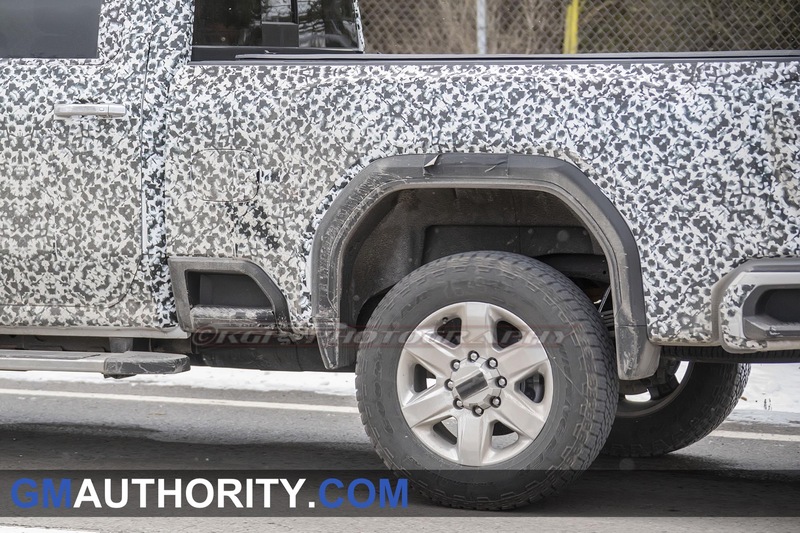 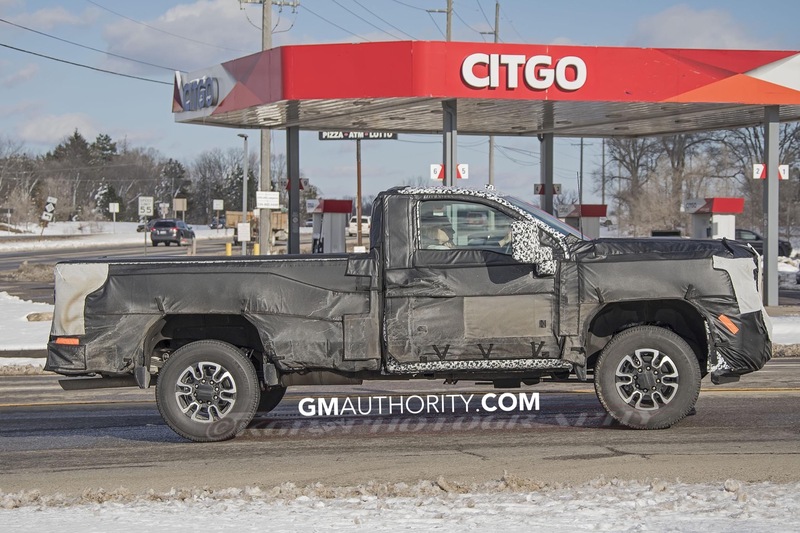 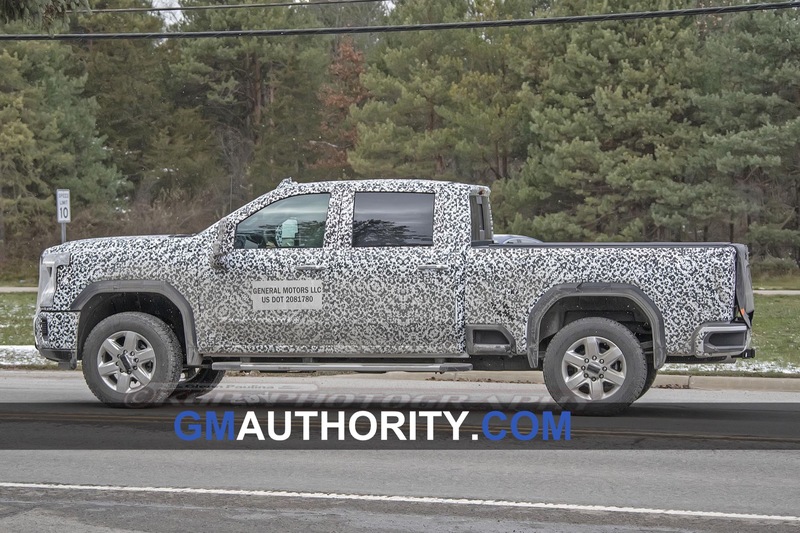 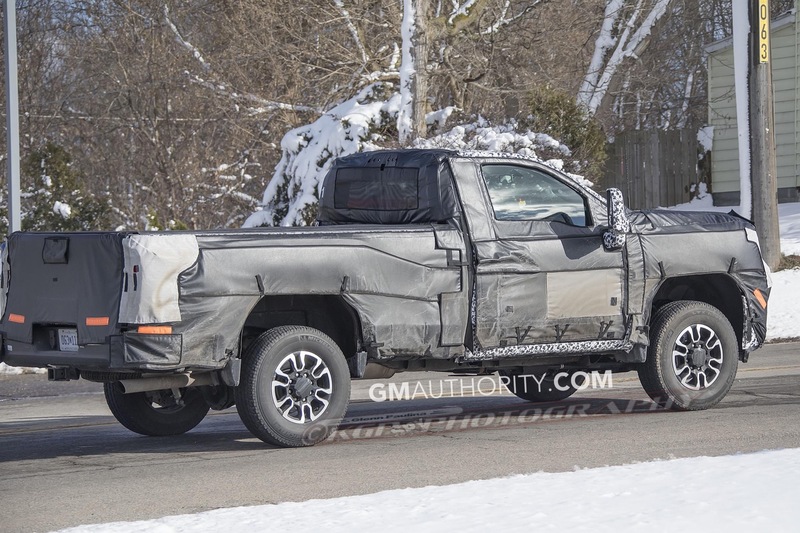 In fact, the 15 camera views in the 2020 Sierra HD is the most views offered by any three-quarter-ton or one-ton pickup on the market today. 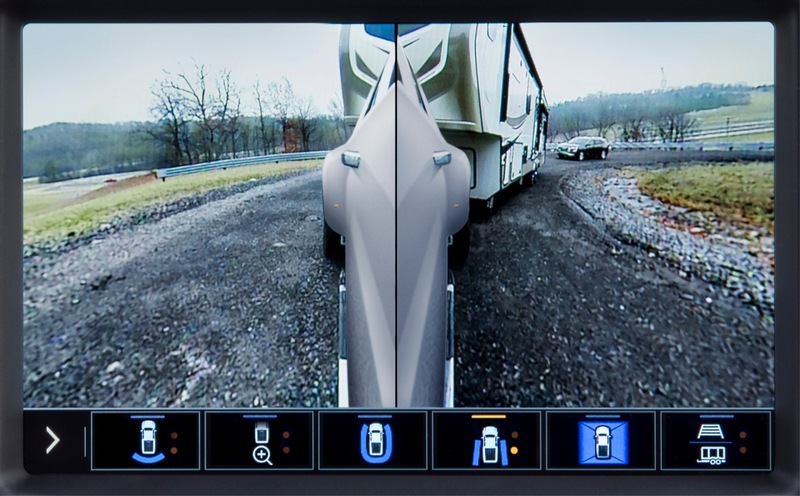 The technology is nothing less than remarkable, and will improve the overall trailing experience for those who tow for work and leisure. 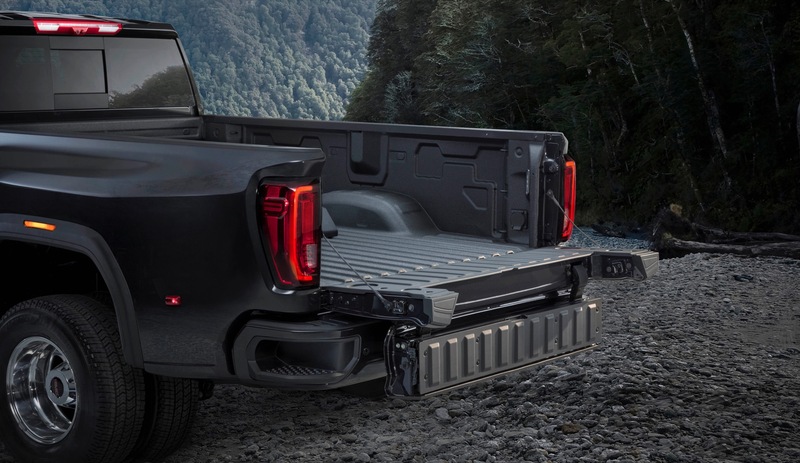 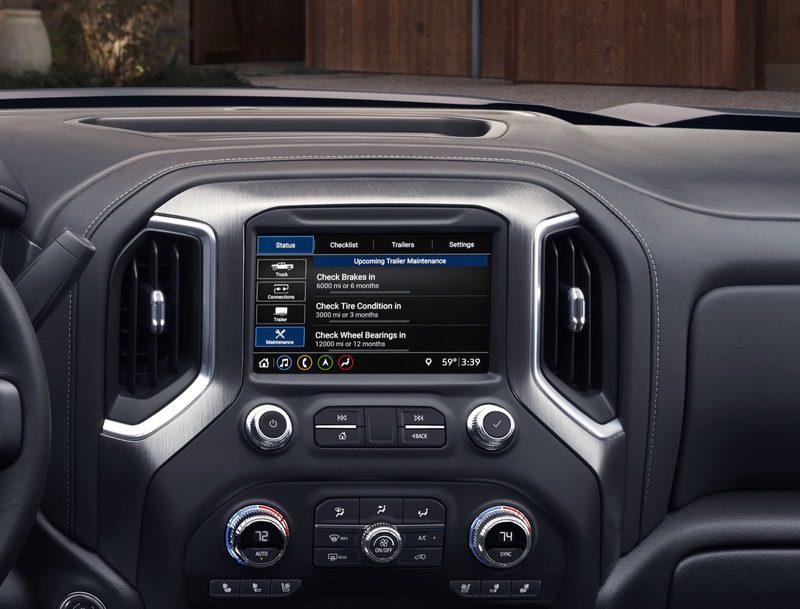 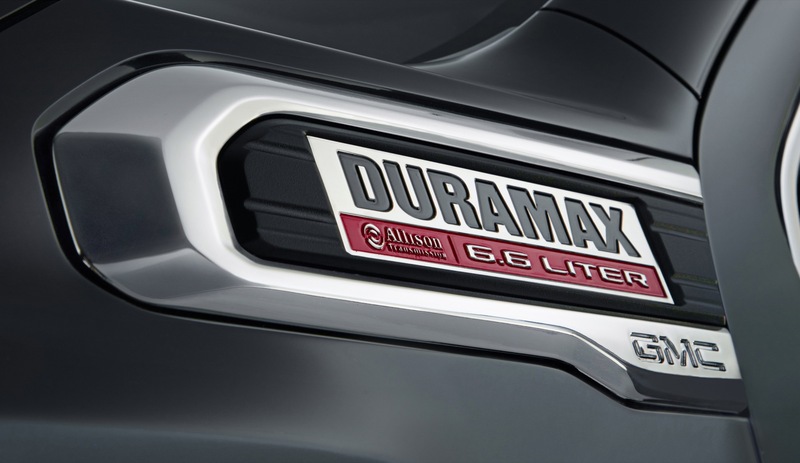 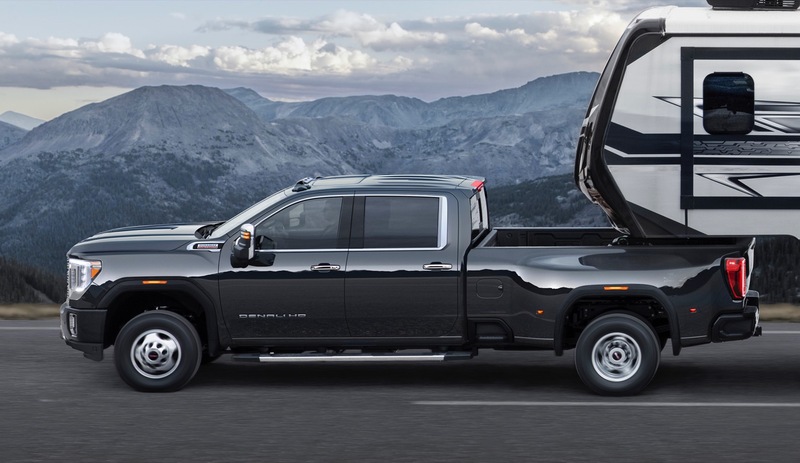 The integrated towing features on the 2020 Sierra HD can be also be conveniently controlled through the Trailering App within the GMC Infotainment System. 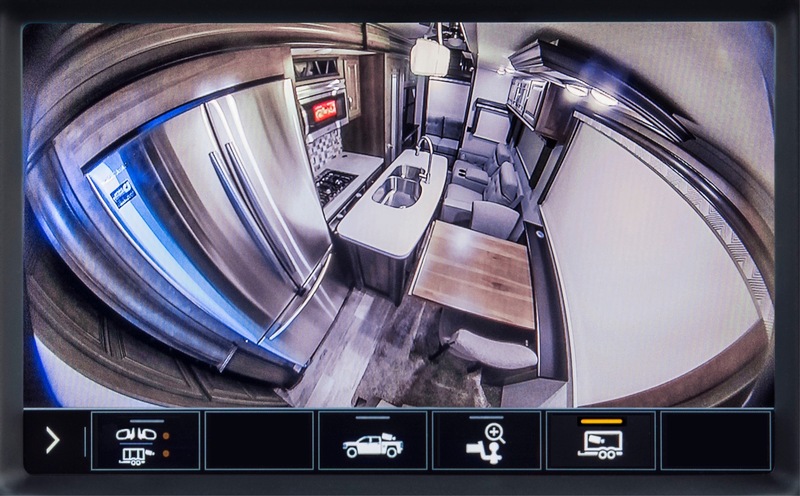 The app includes a trailer light test, electrical diagnostics, trailer tire pressure monitoring, temperature monitoring, maintenance reminders, and a departure checklist. 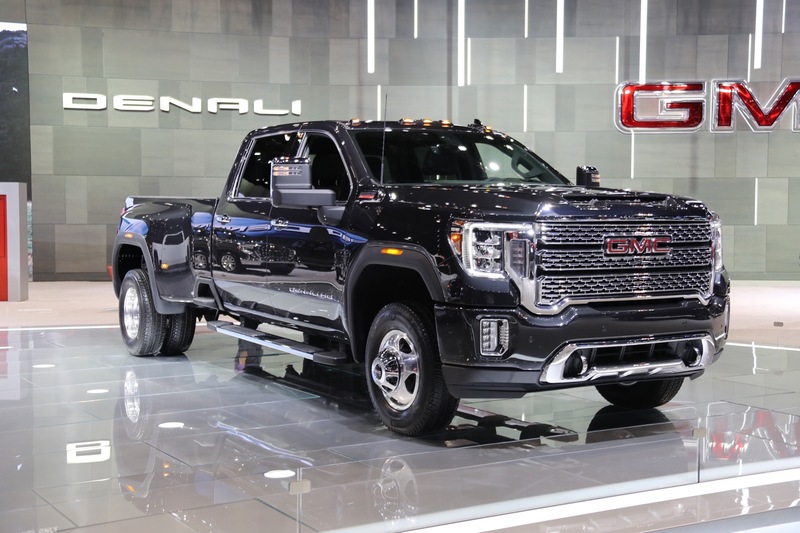 The 2020 Sierra HD will go on sale later this year in 2500HD and 3500HD single-rear-wheel and dual rear-wheel (dually) configurations. 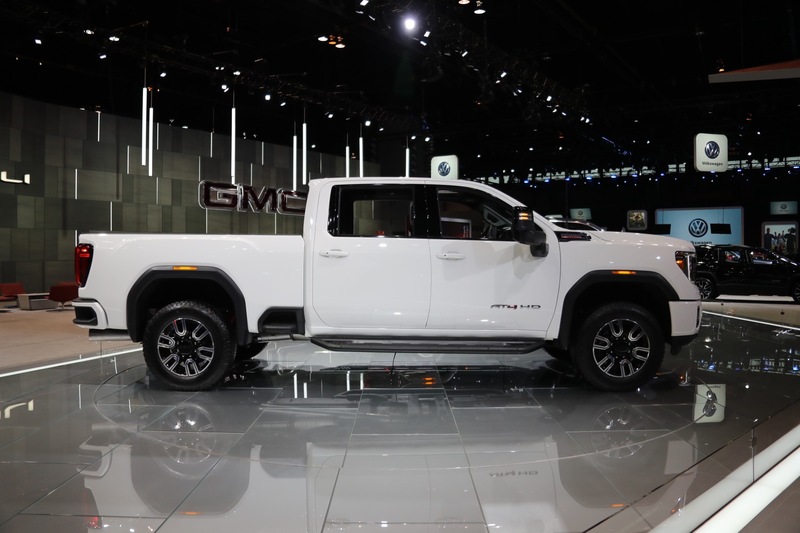 Pricing and further specifications will be announced at a later date. 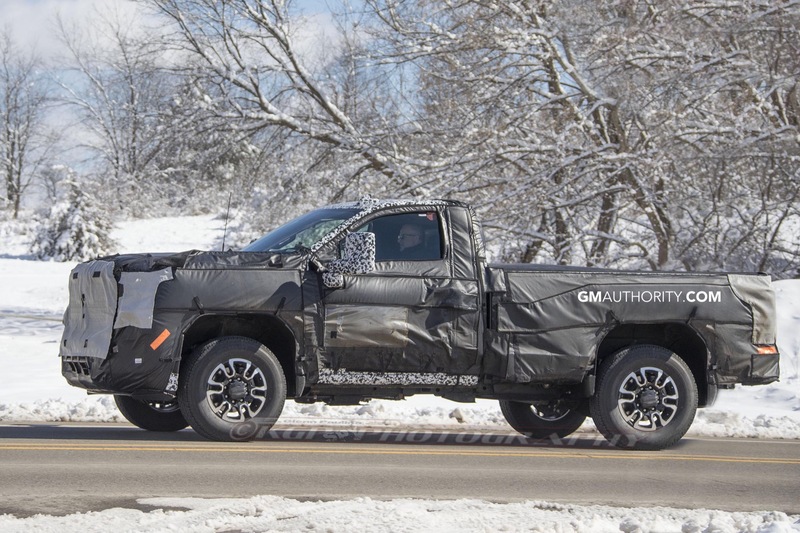 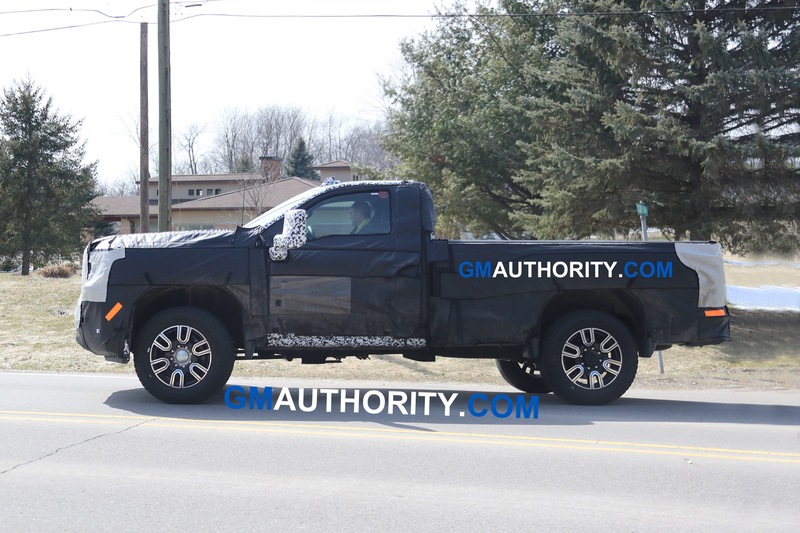 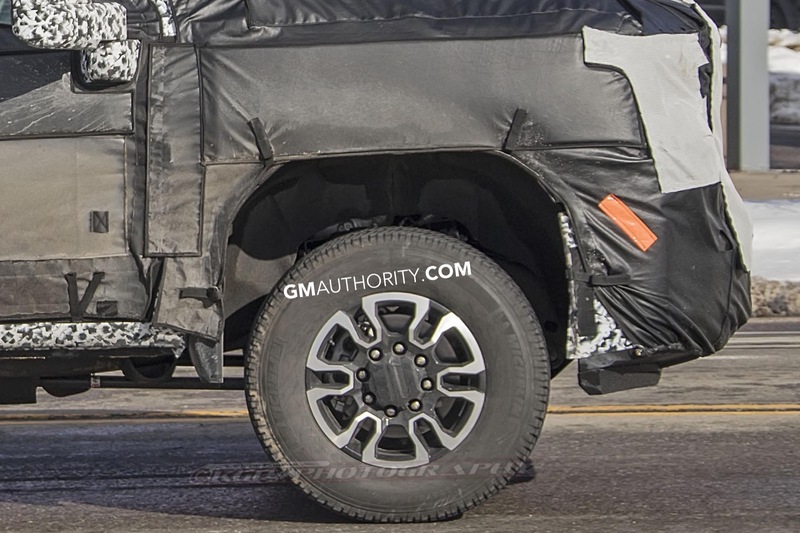 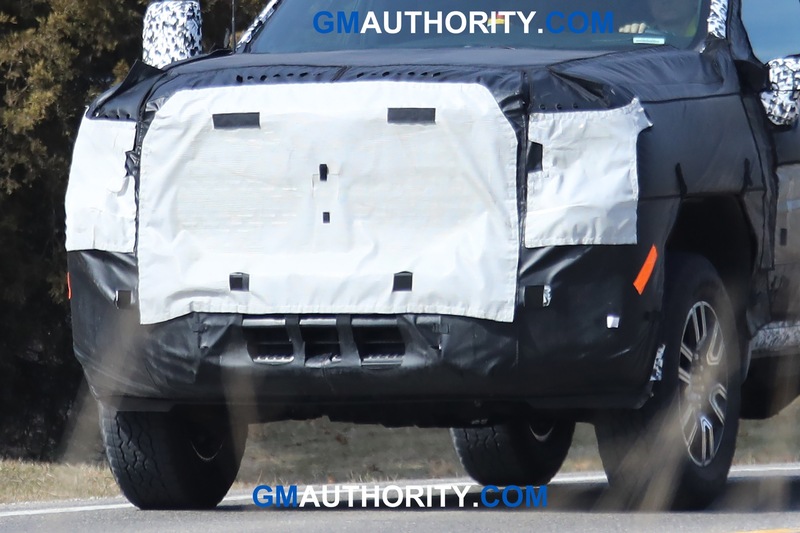 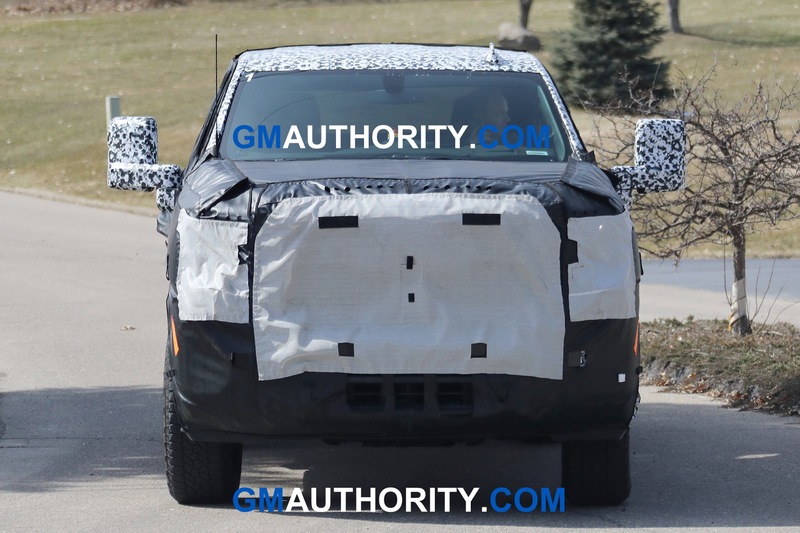 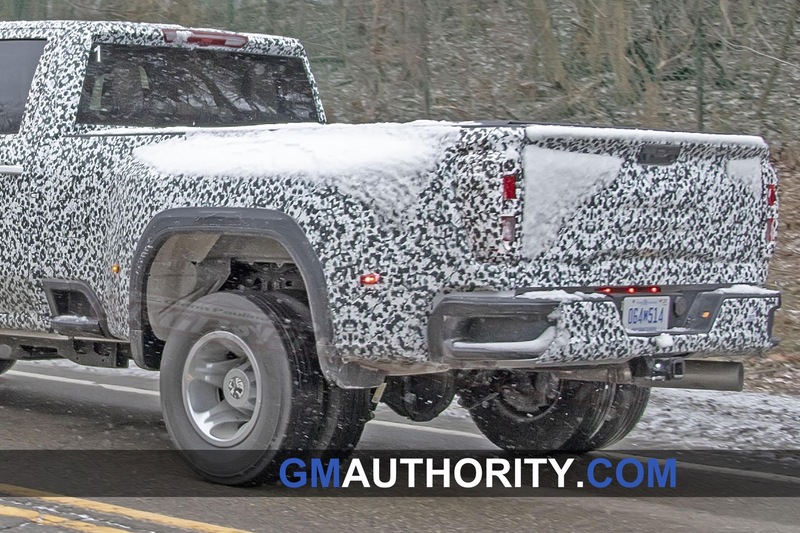 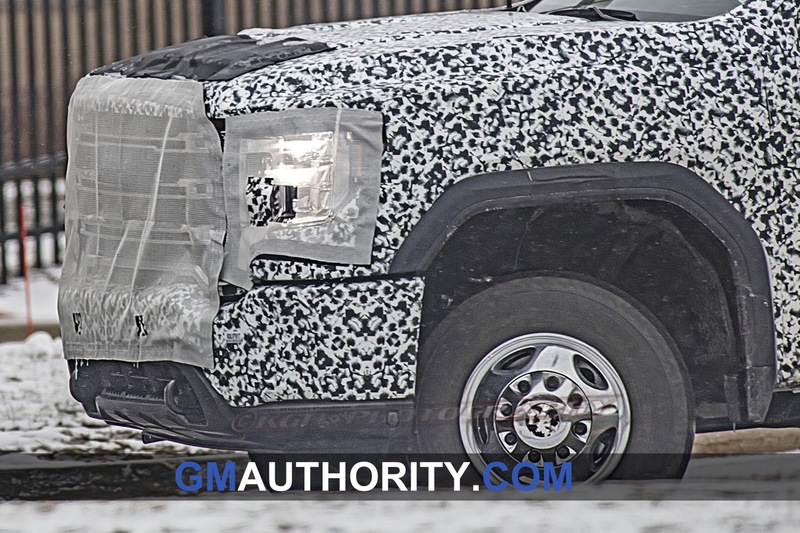 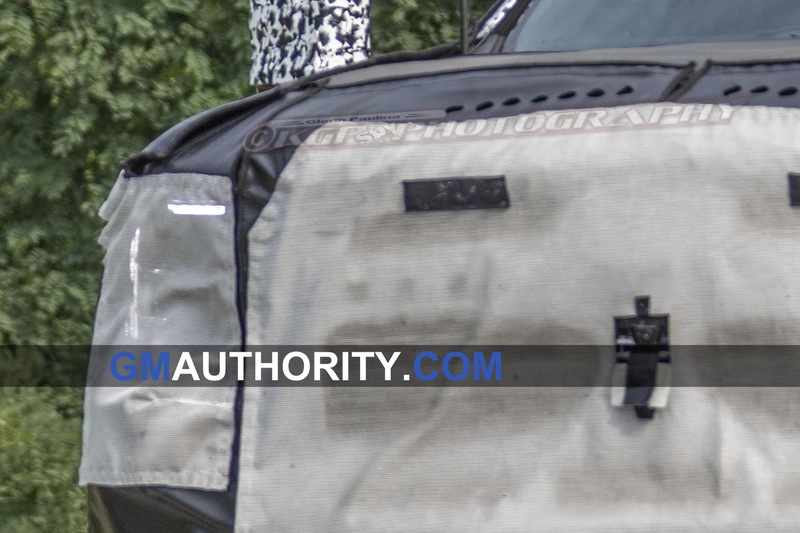 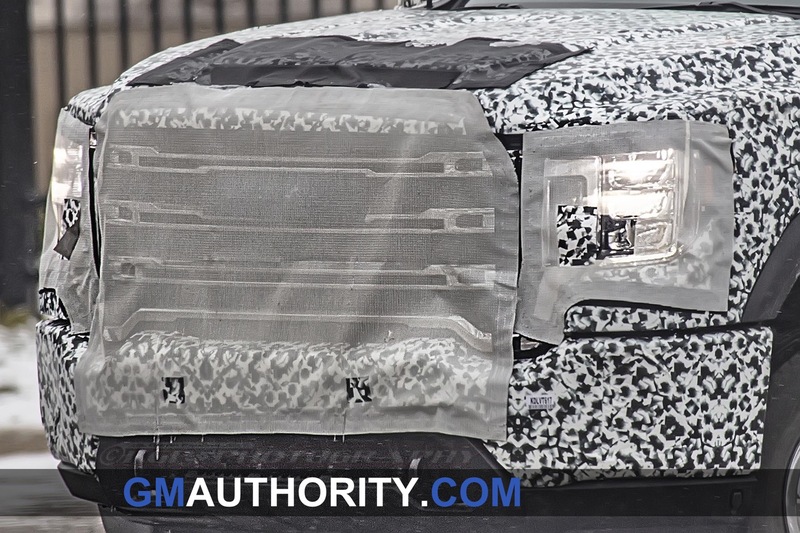 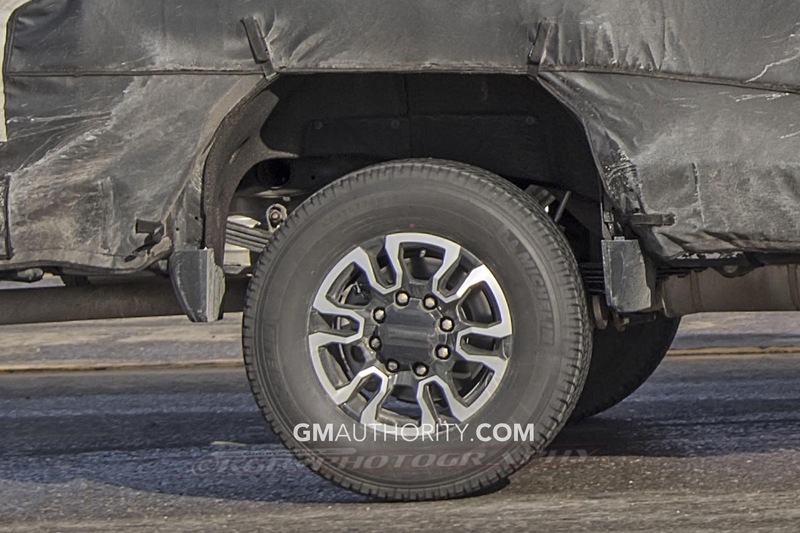 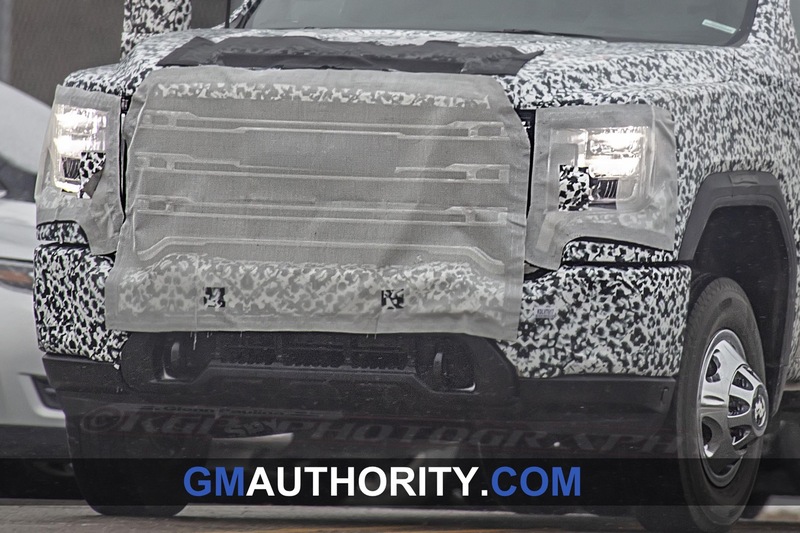 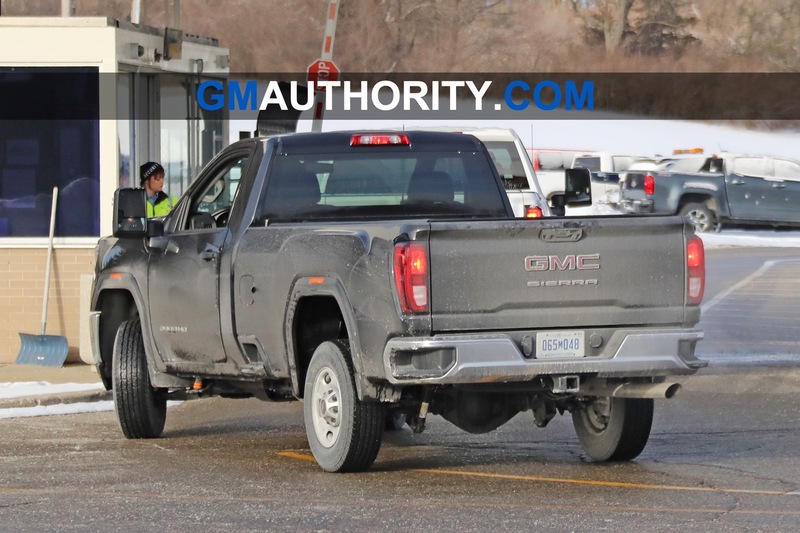 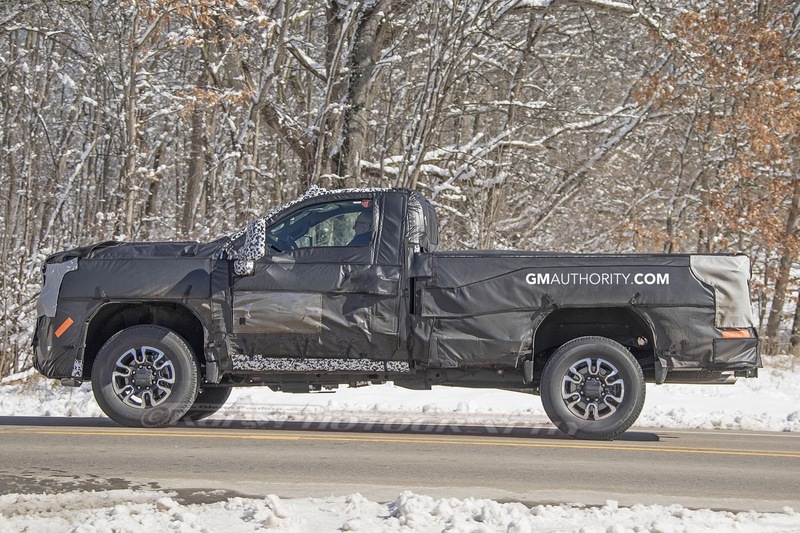 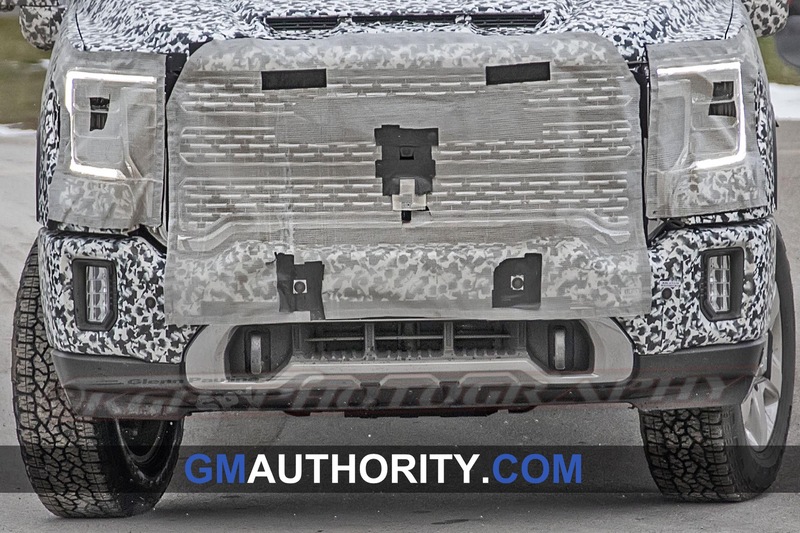 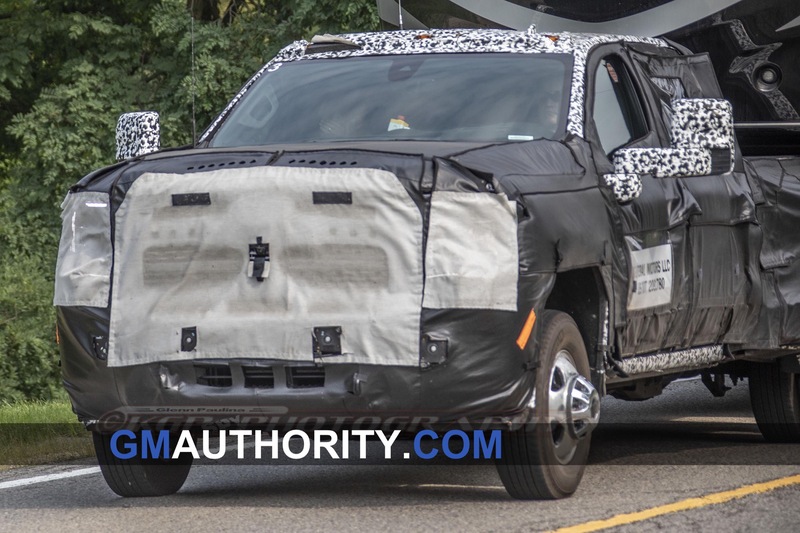 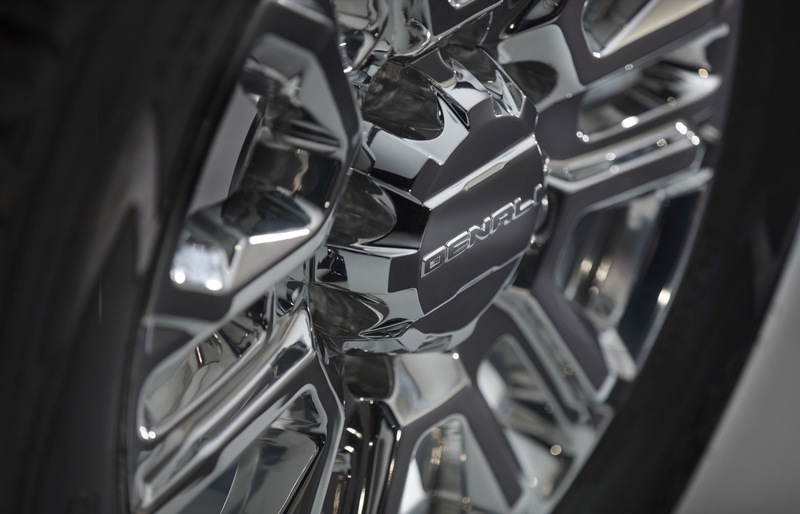 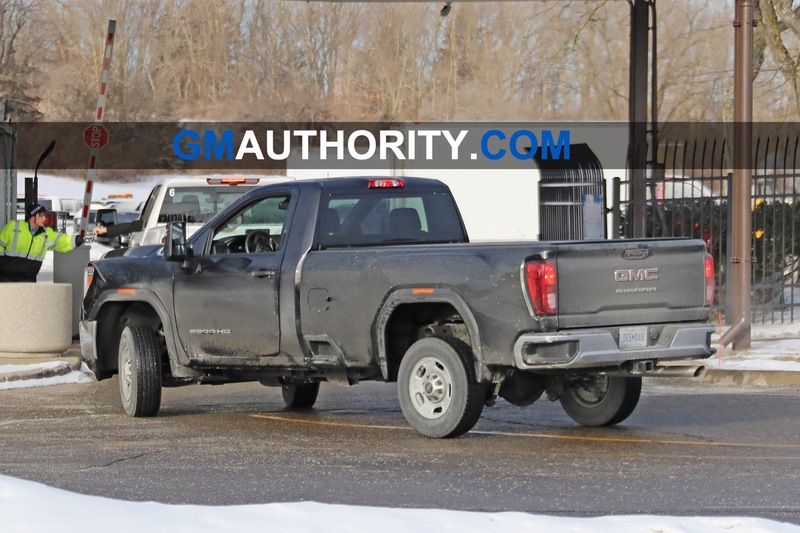 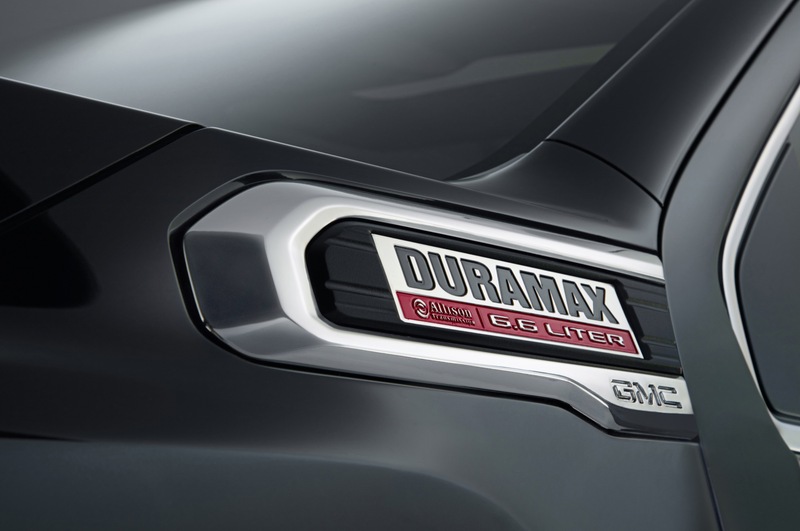 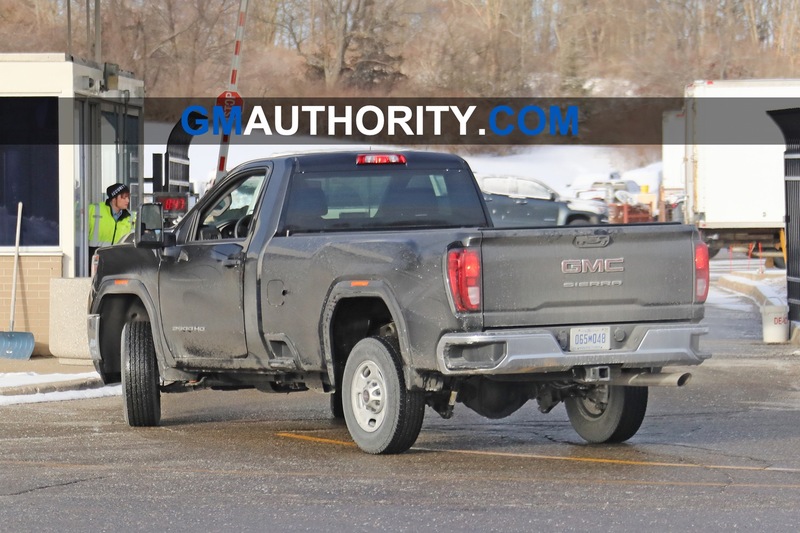 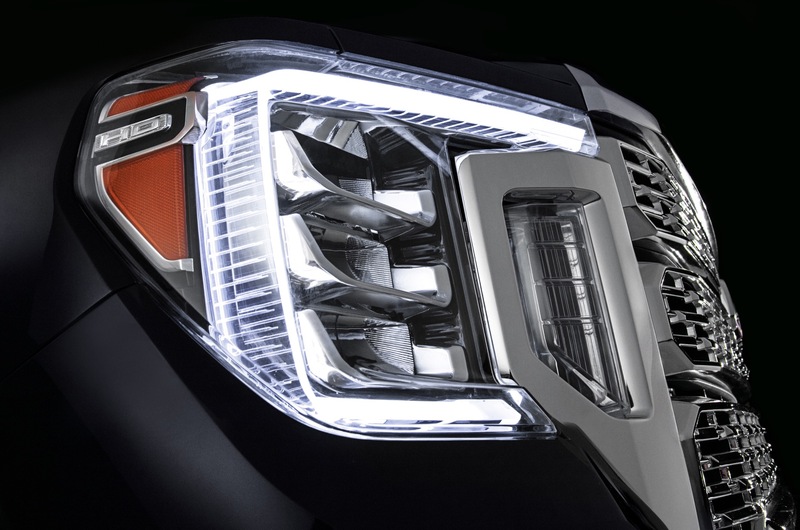 Stay tuned to GM Authority for more GMC news and Sierra news updates.